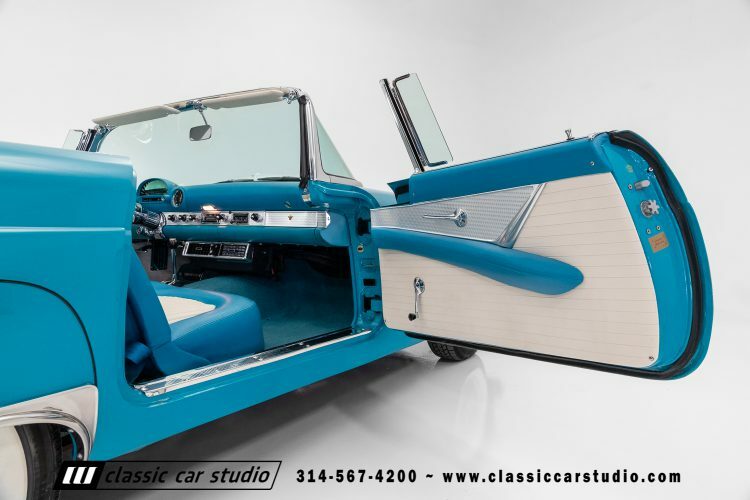 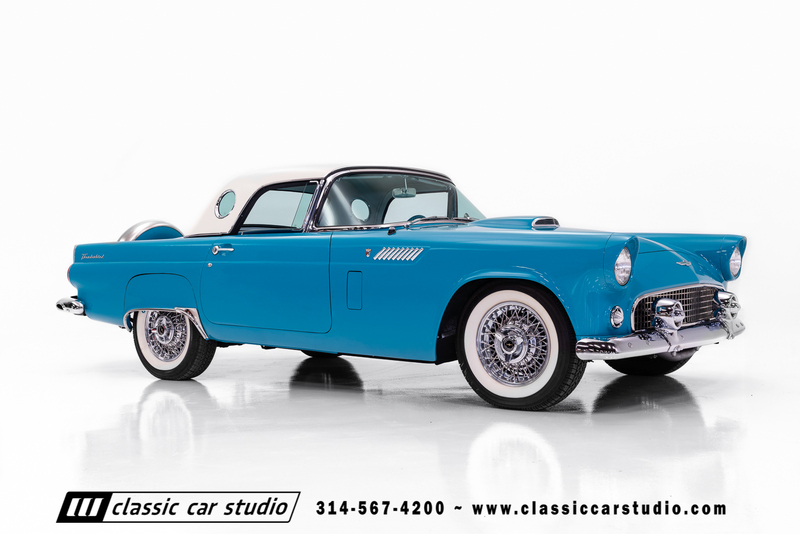 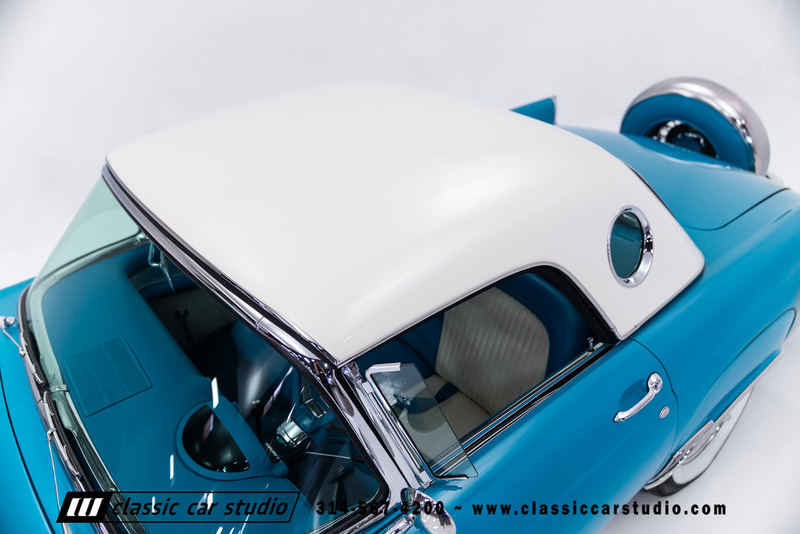 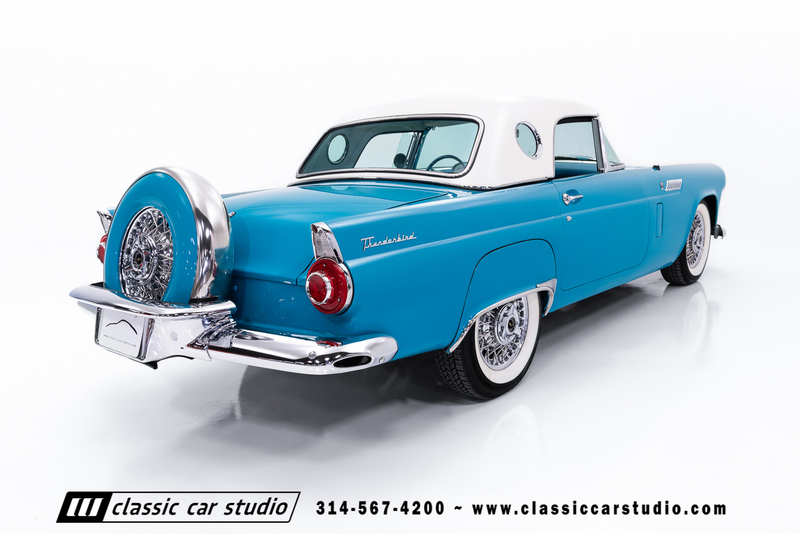 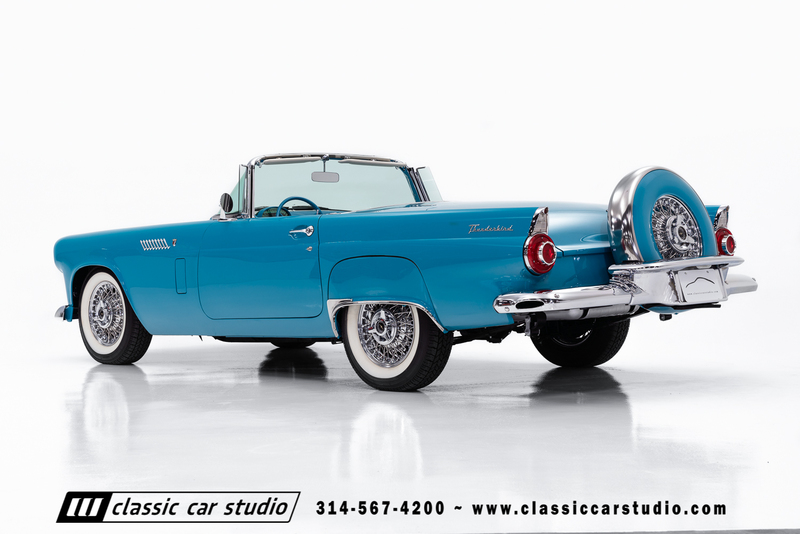 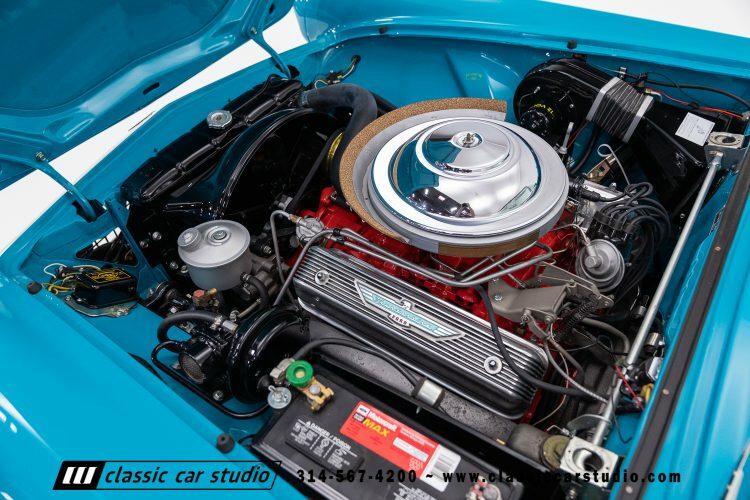 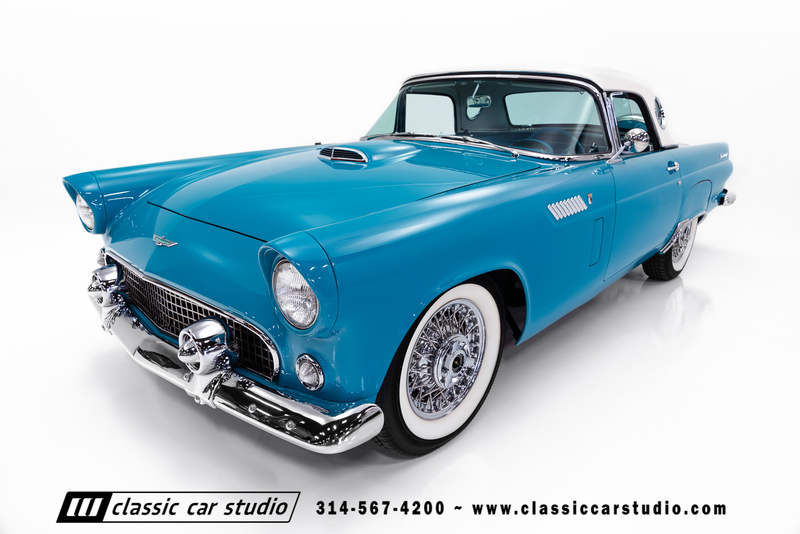 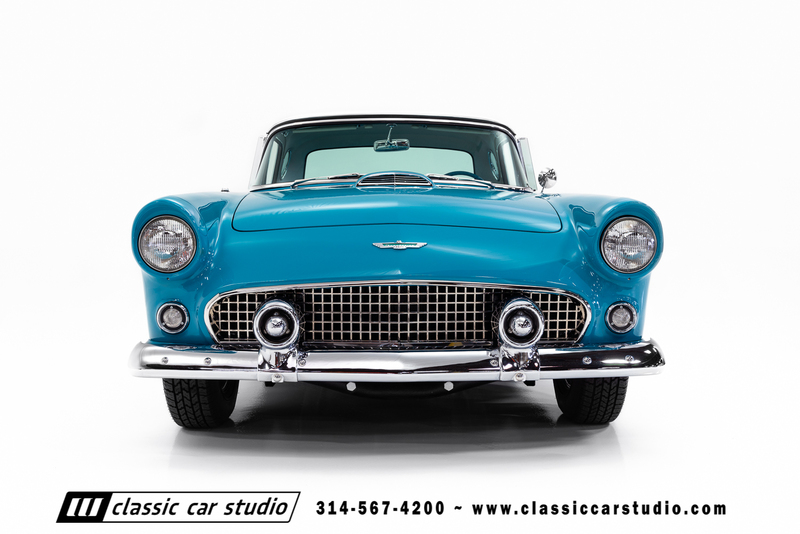 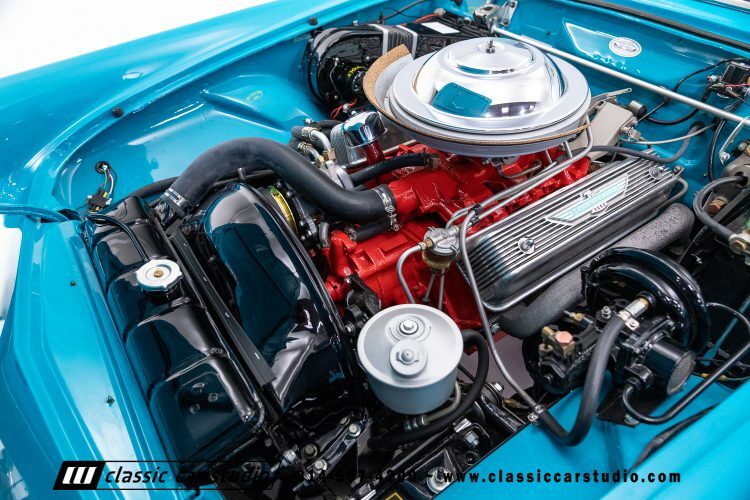 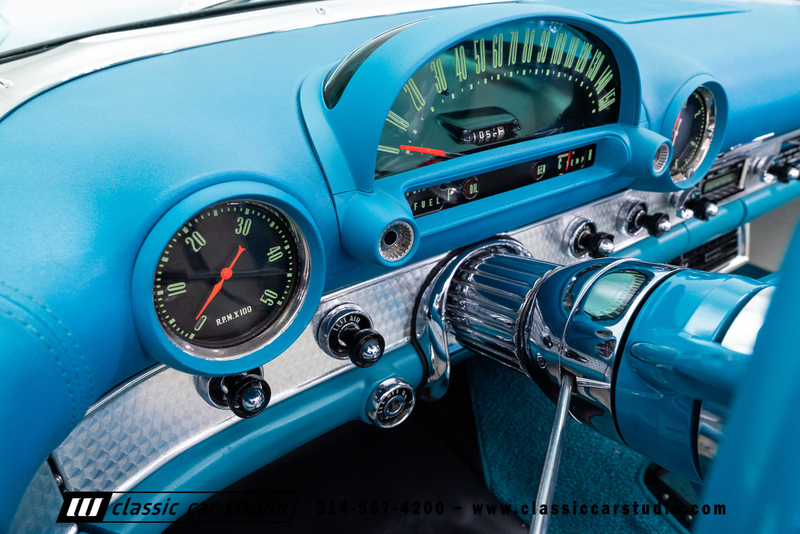 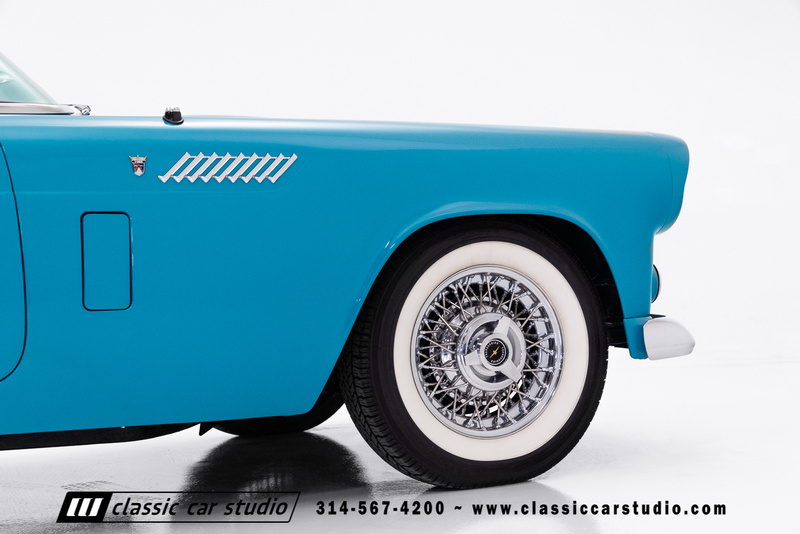 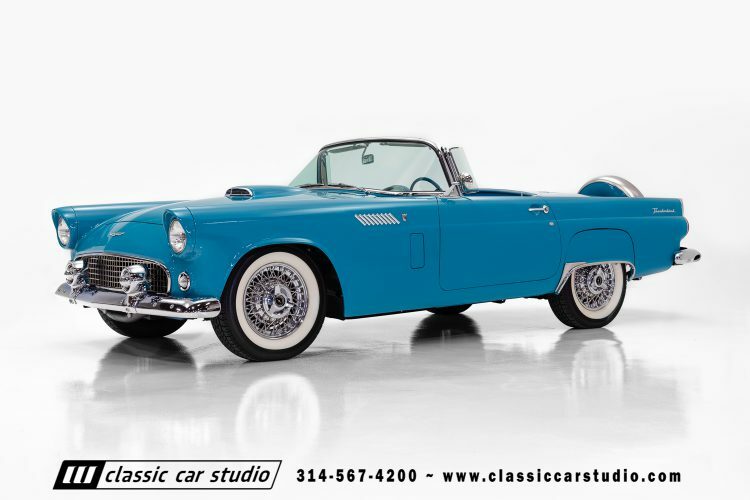 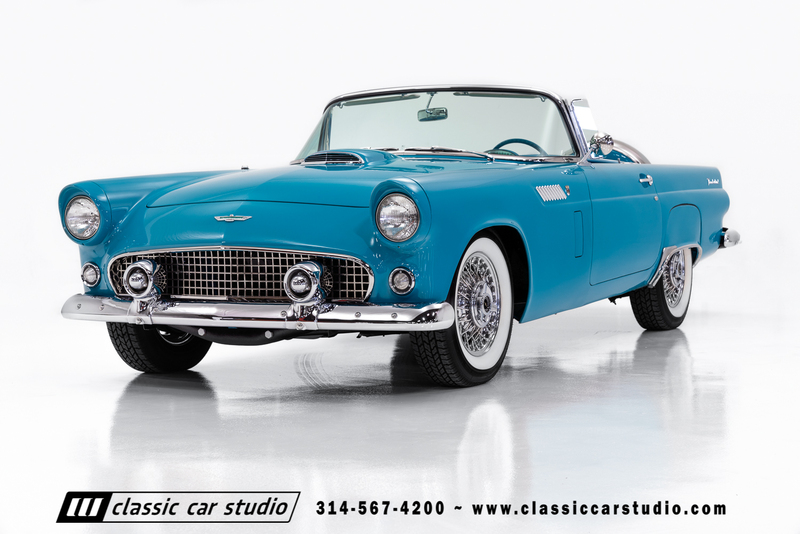 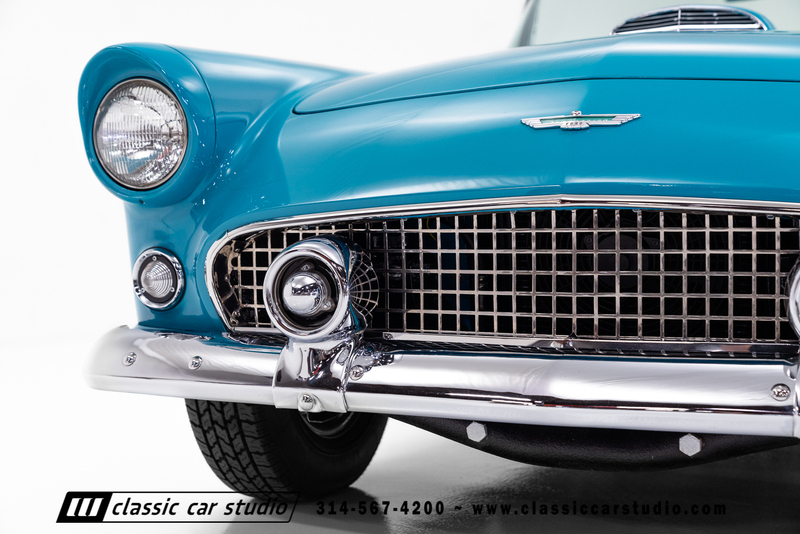 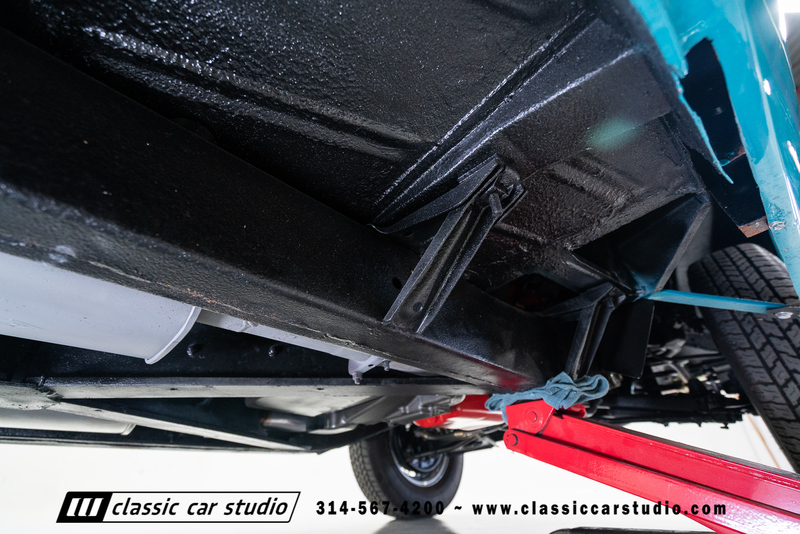 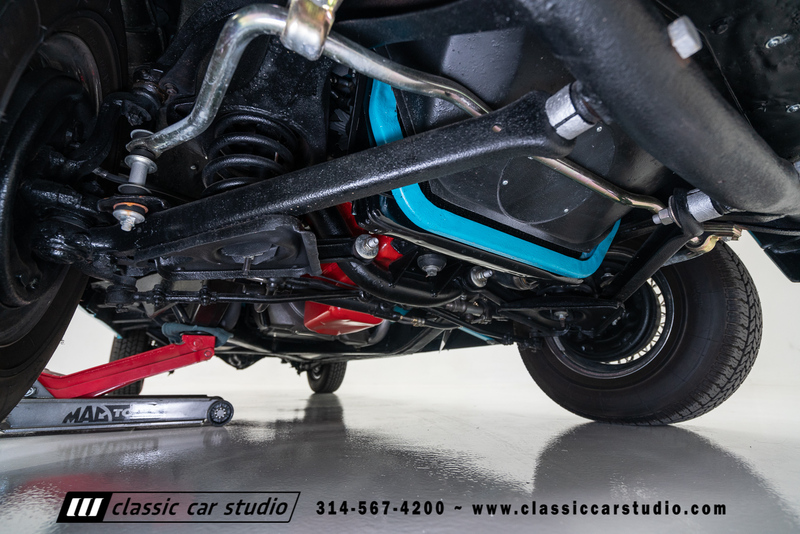 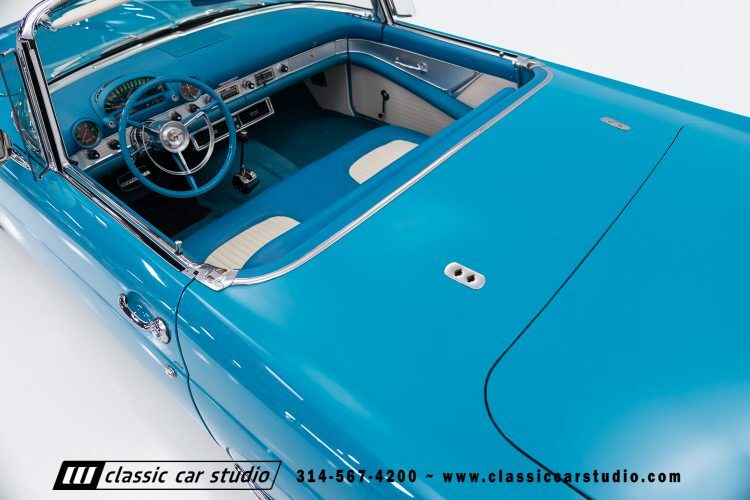 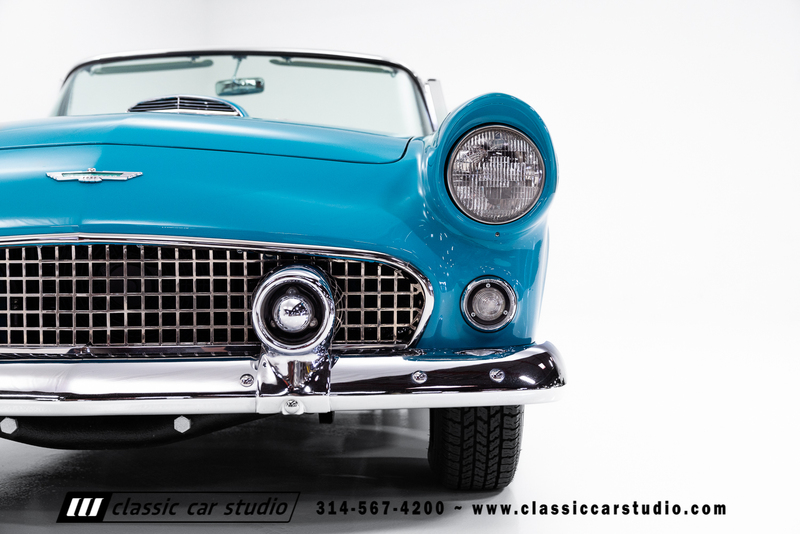 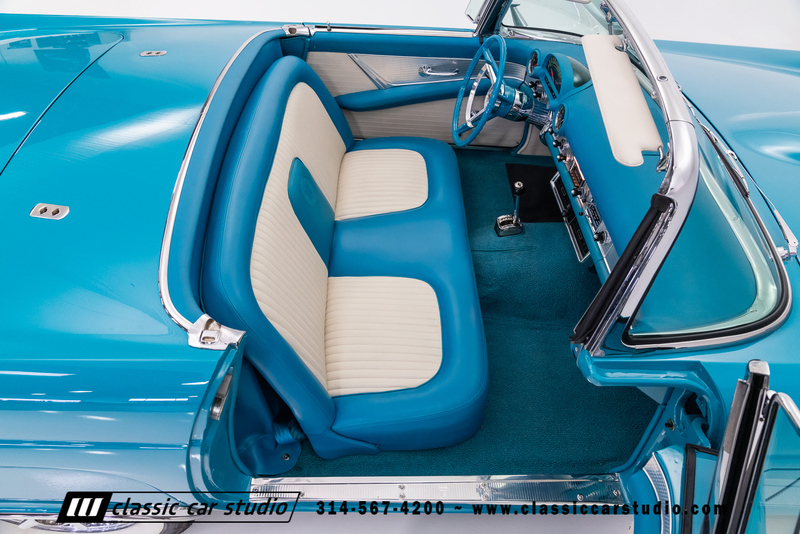 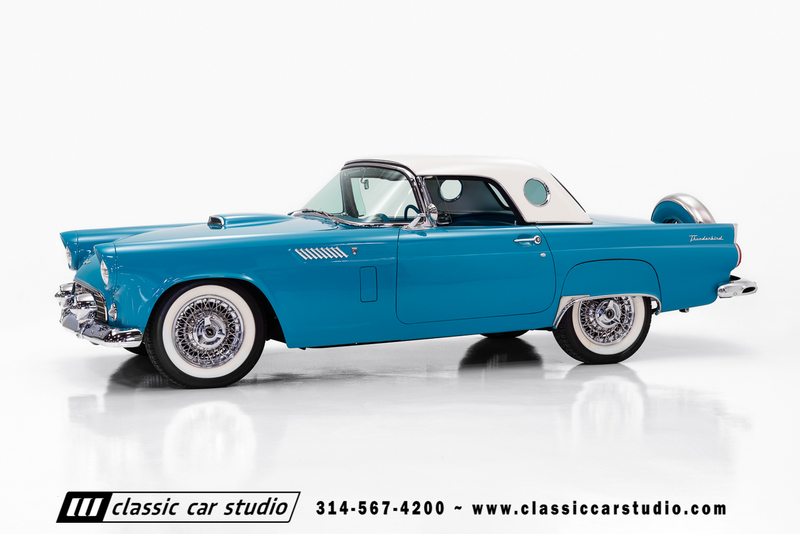 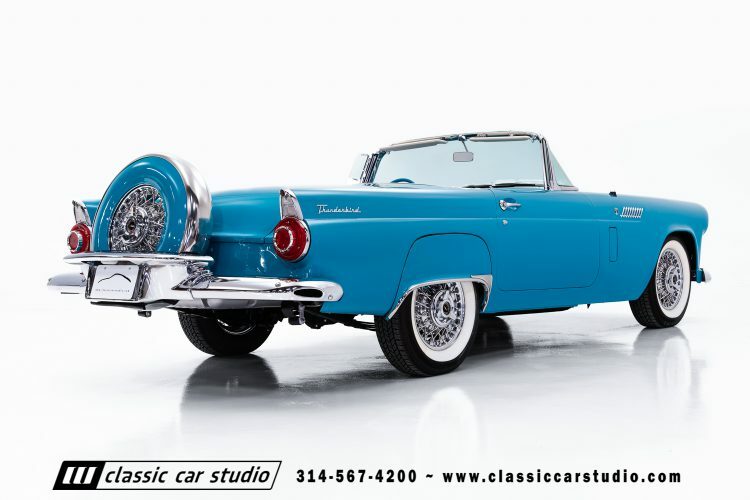 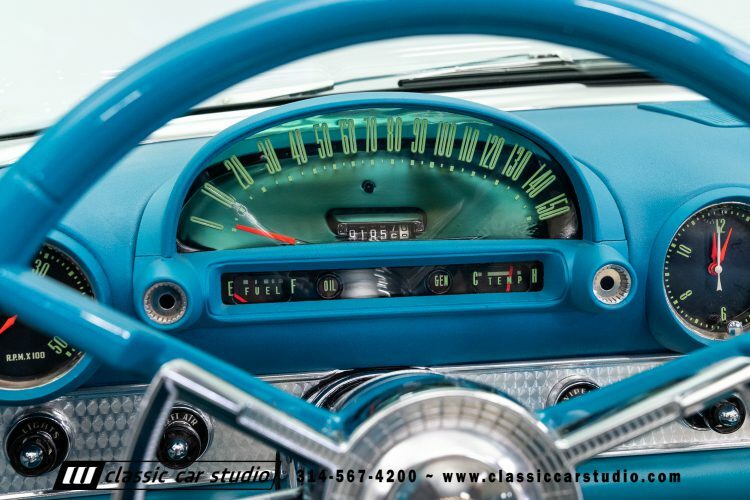 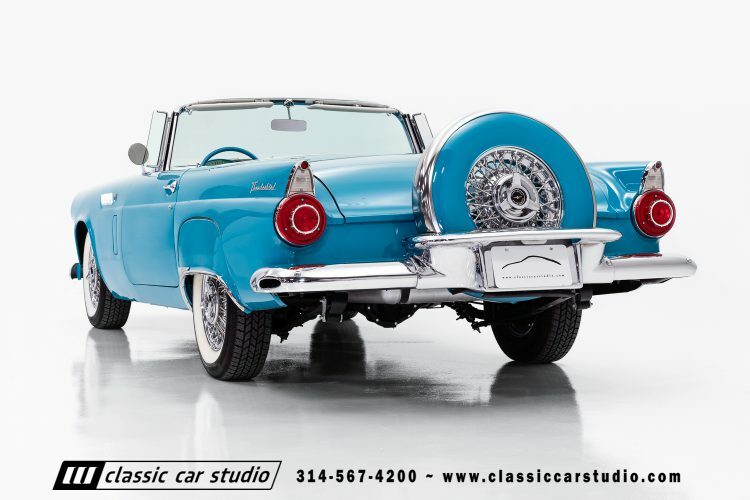 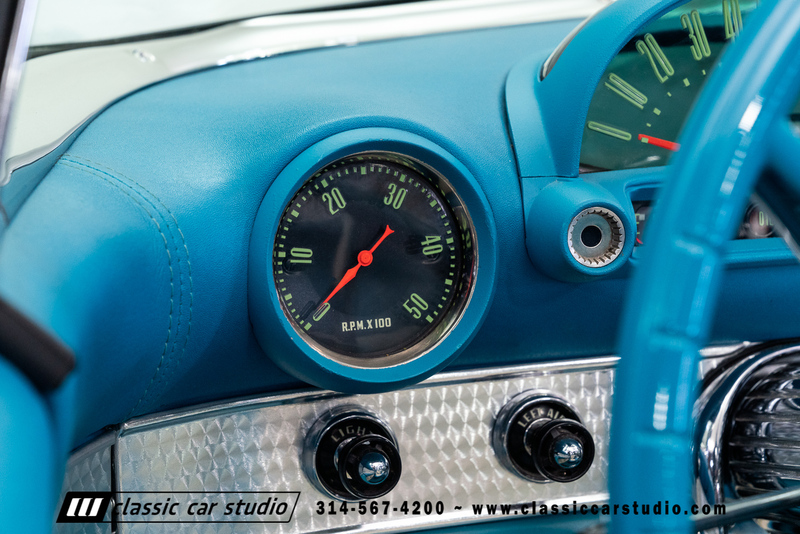 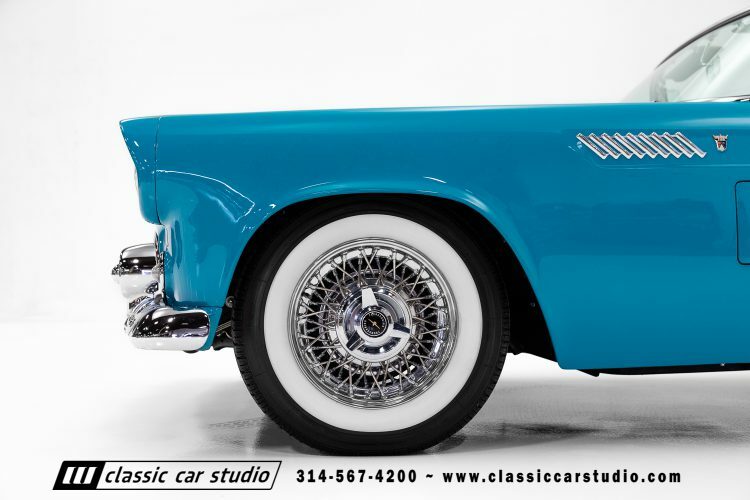 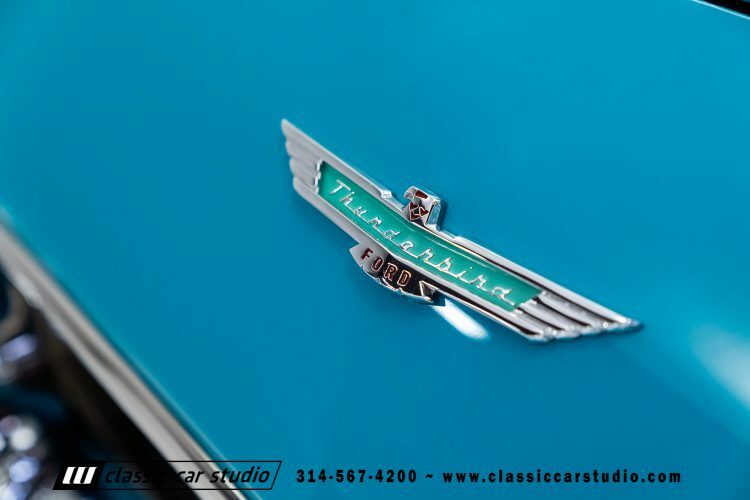 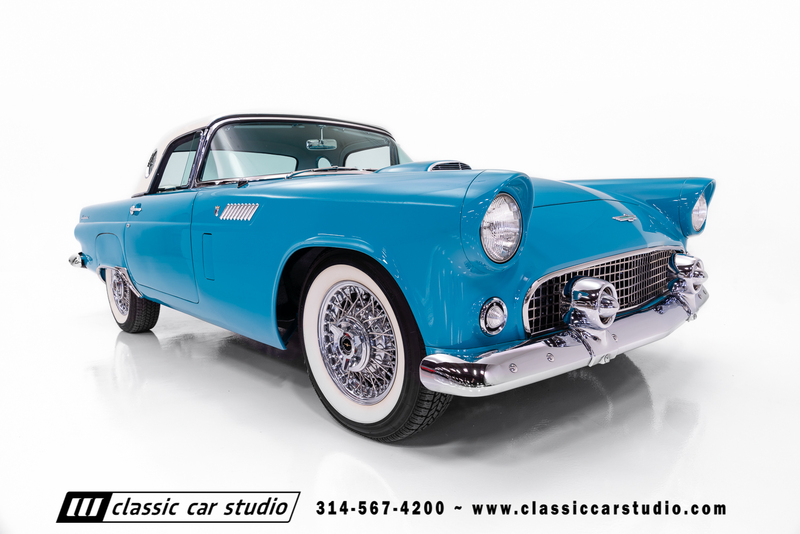 Finished in Turquoise, this 1956 Ford Thunderbird was a frame off restoration by acclaimed Thunderbird guru, Amos Minter. 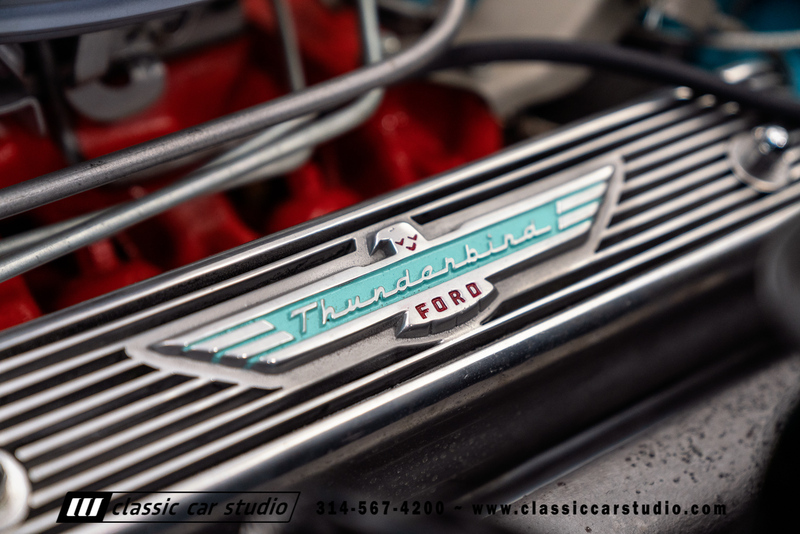 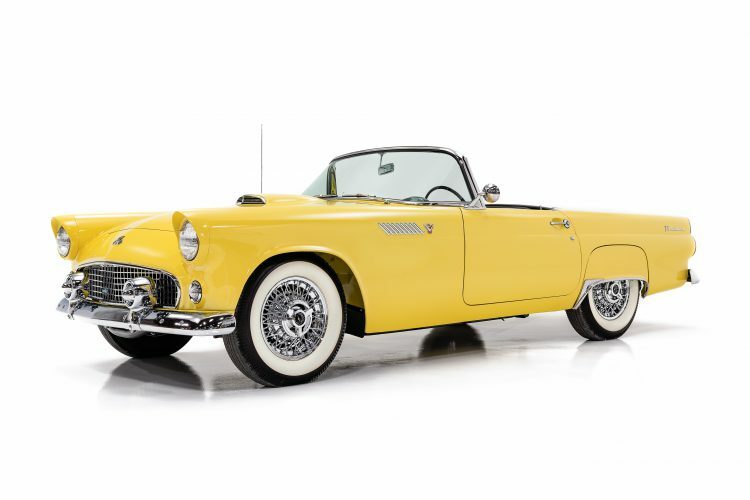 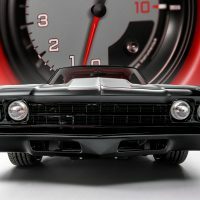 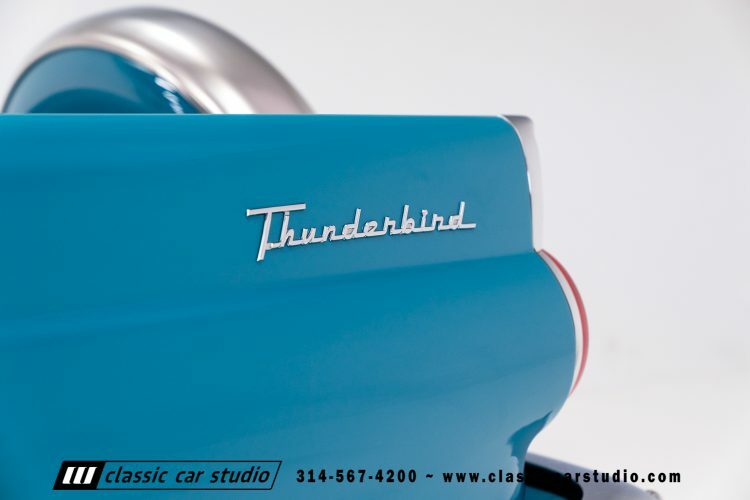 The Thunderbird has been driven very little since it was completed. 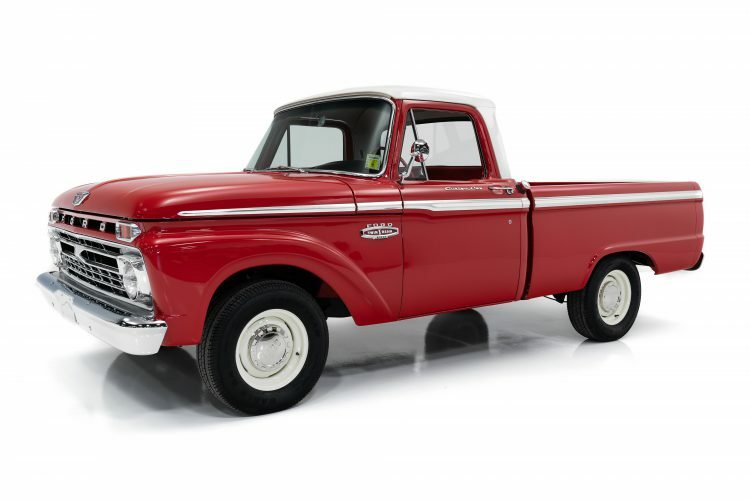 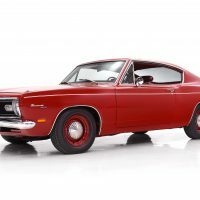 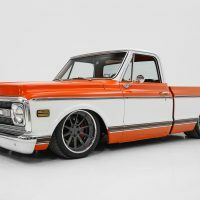 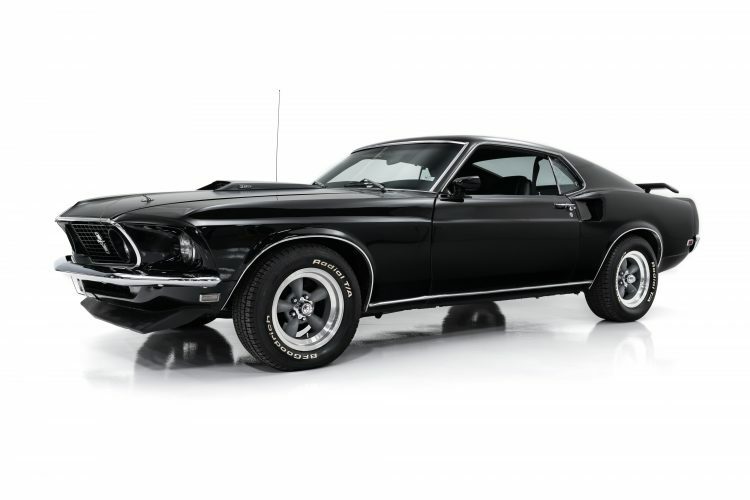 The engine is a rebuilt 312 V8 4bbl that connects to Ford-O-Matic 3 speed transmission. 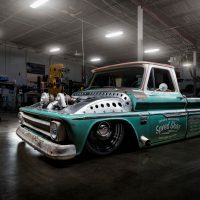 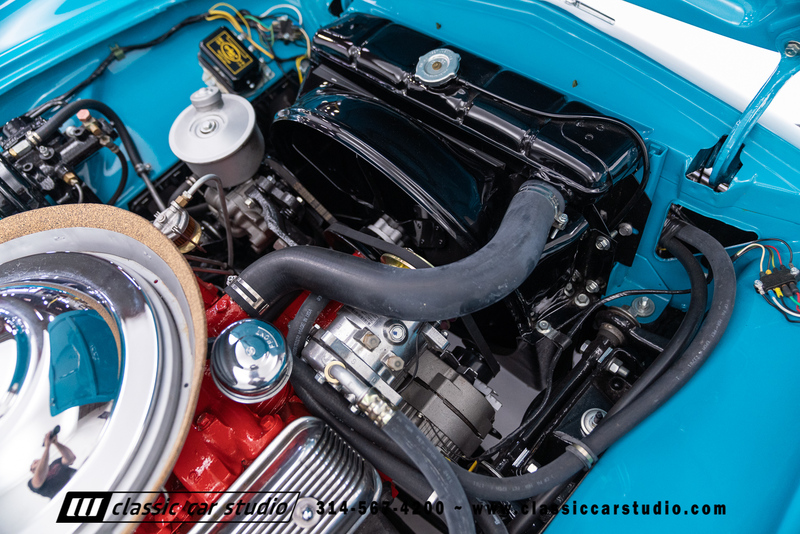 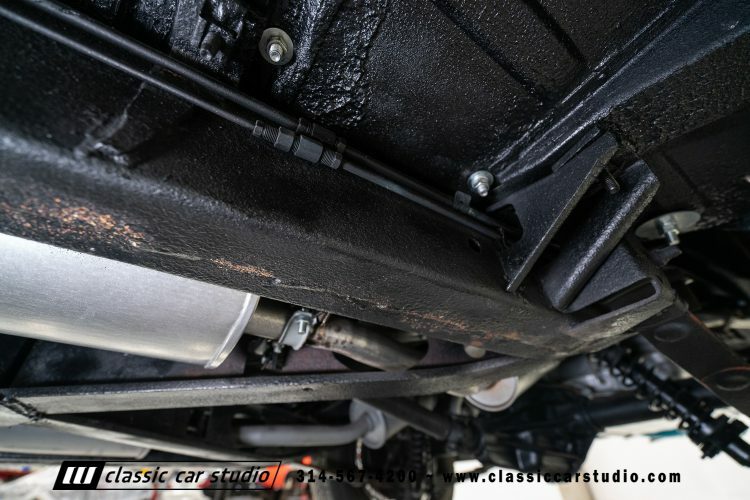 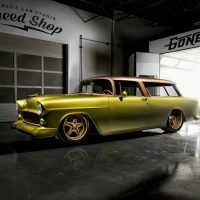 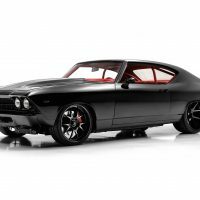 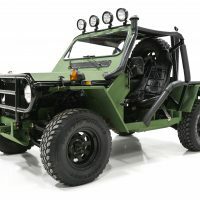 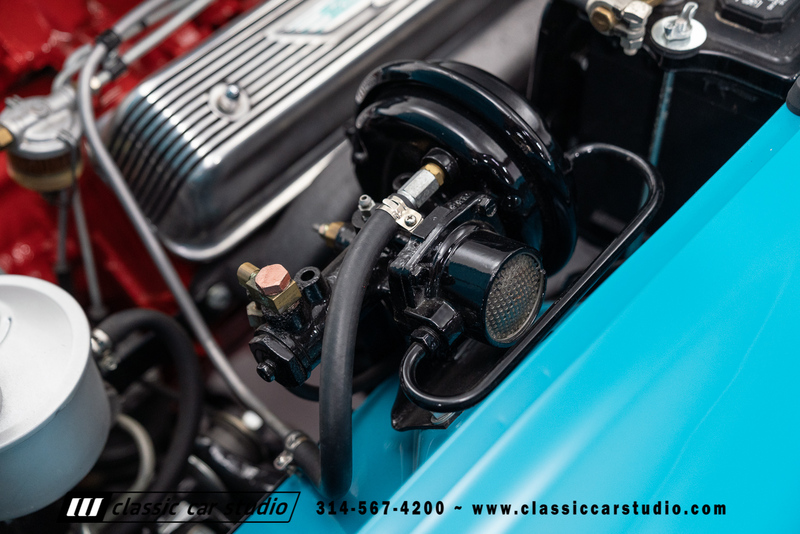 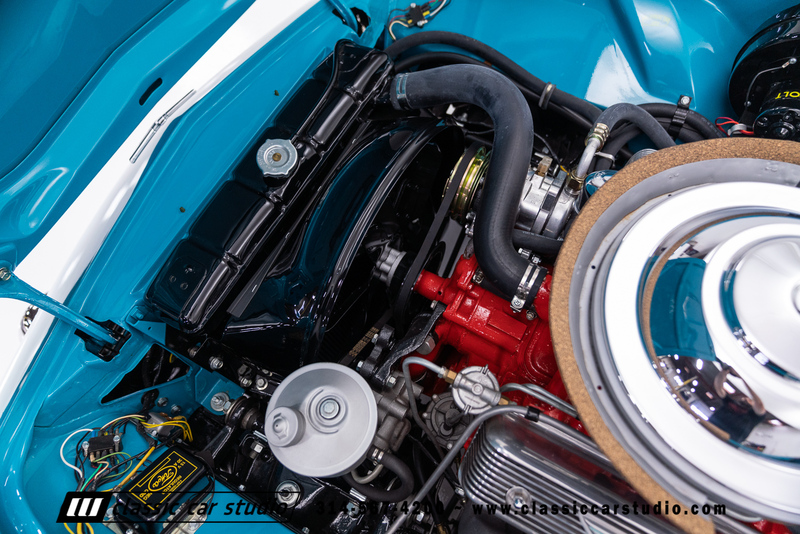 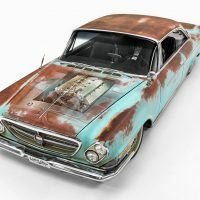 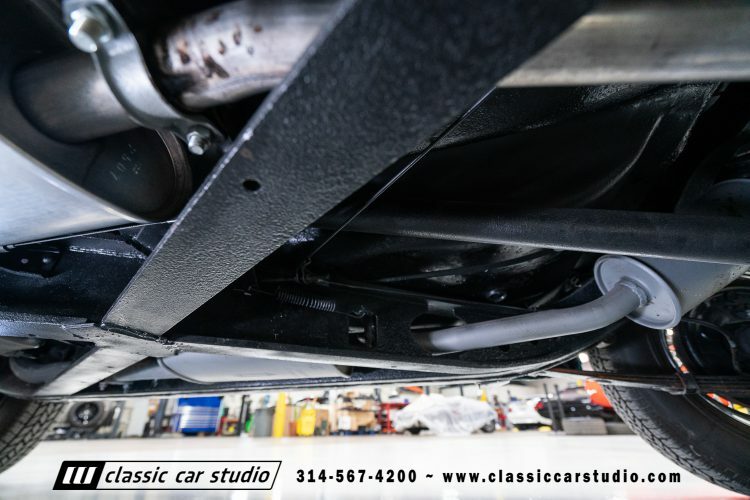 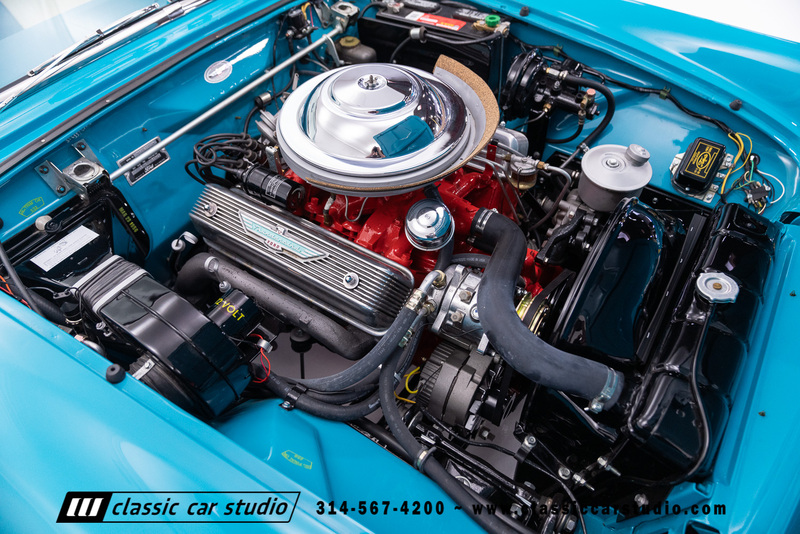 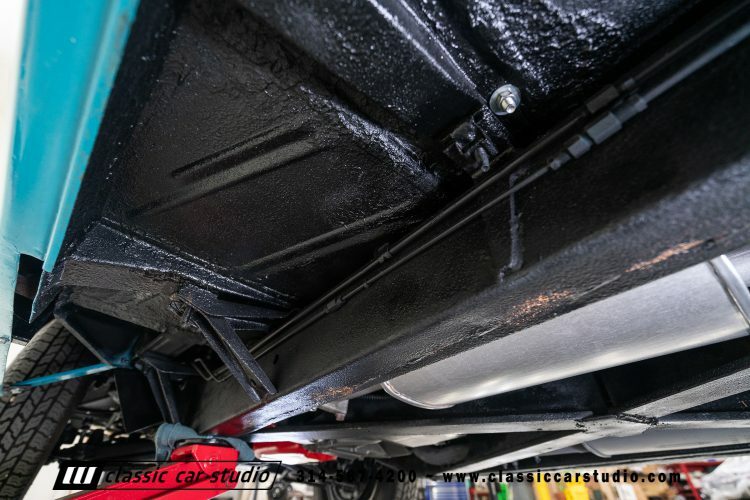 The motor sits inside a highly detailed and very correct engine compartment and features the Minter “parade” cooling package, improved lower fan shroud and smaller water pump pulley. 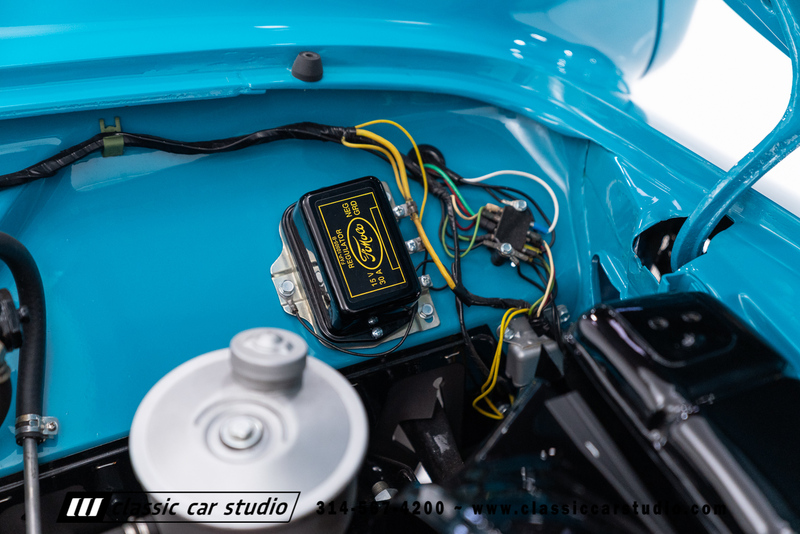 Easy startup has been achieved with Minter’s started primer fuel pump which is secretly activated via a factory knob on the dash. 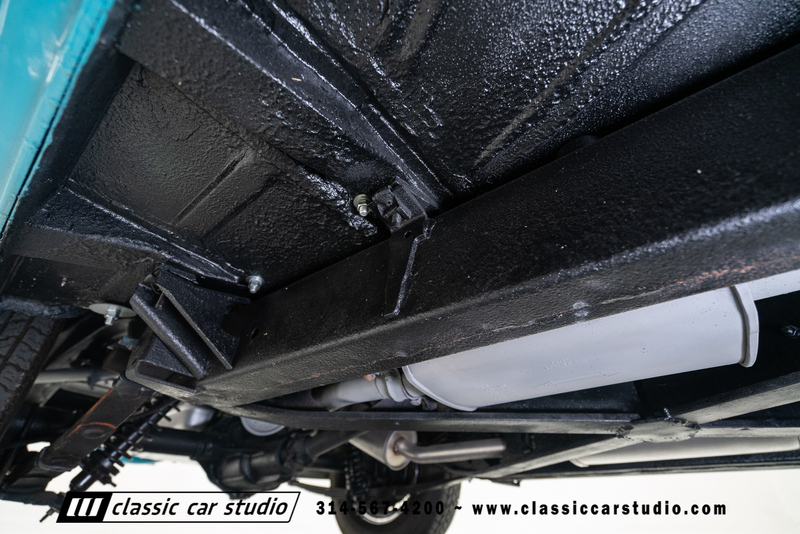 The base/clear finish is a modern PPG refinish was completed overall new bodywork. 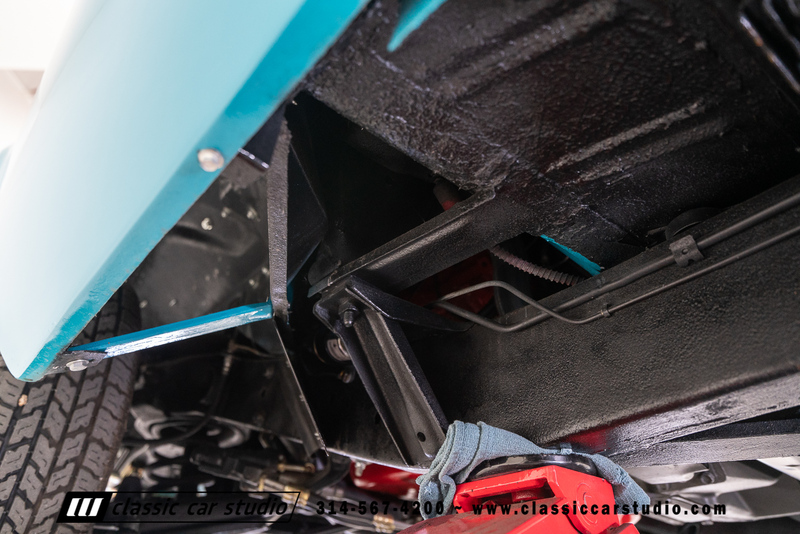 The car is straight, has excellent gaps, and like all Minter cars, was a solid car to start with. 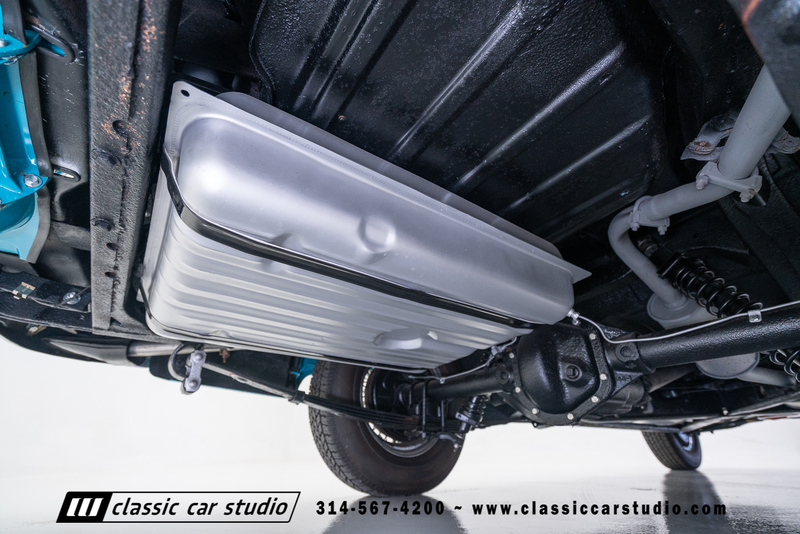 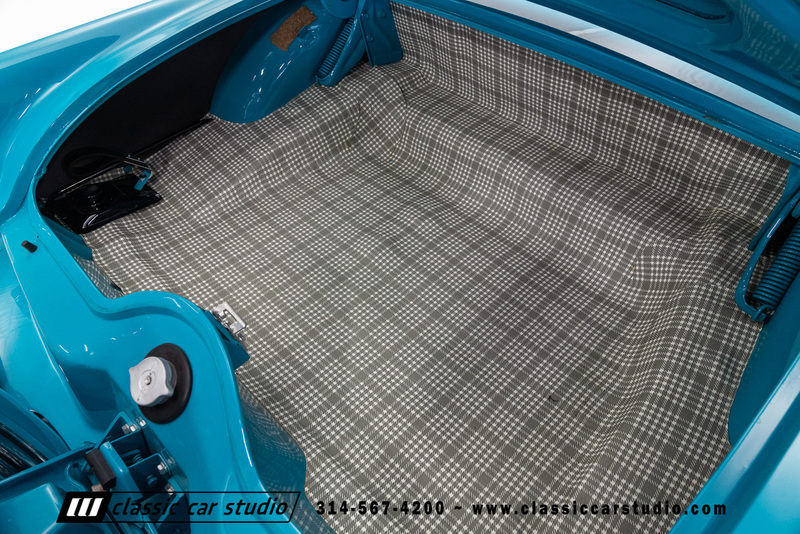 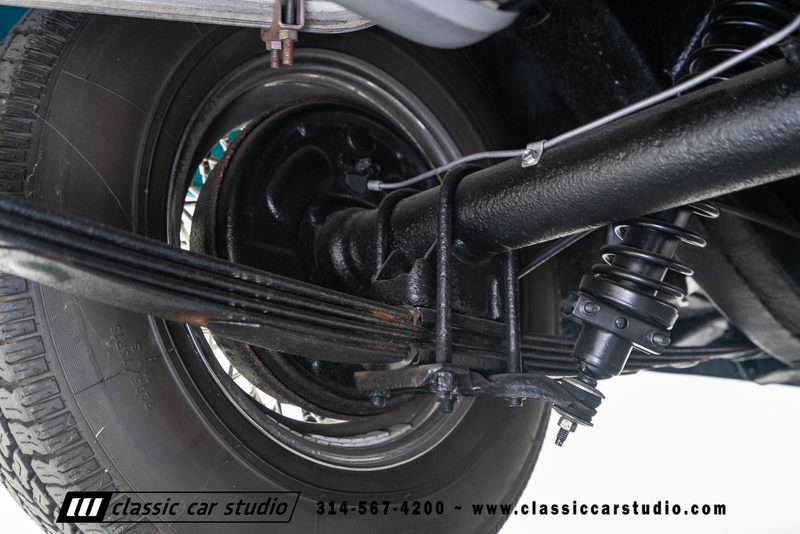 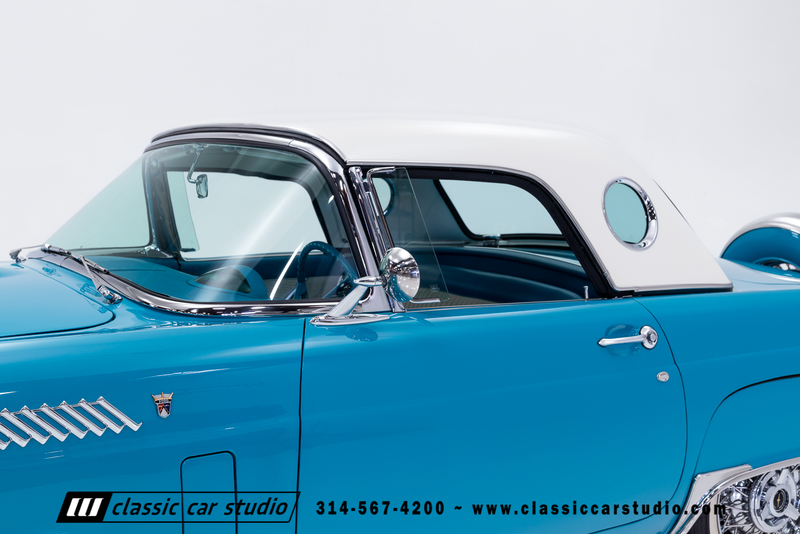 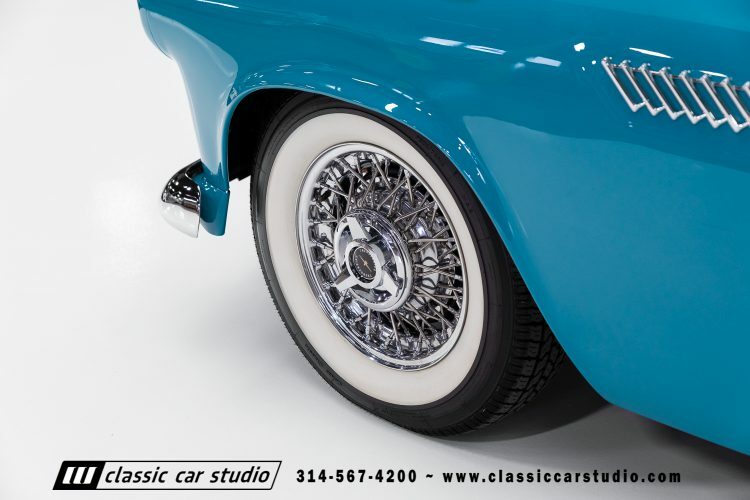 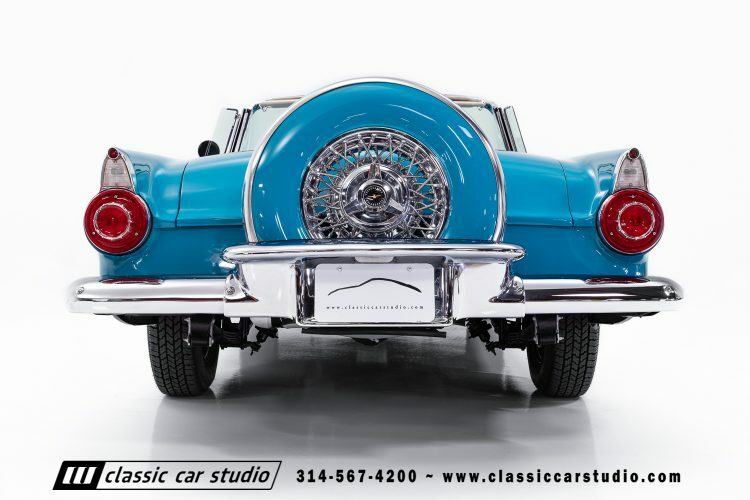 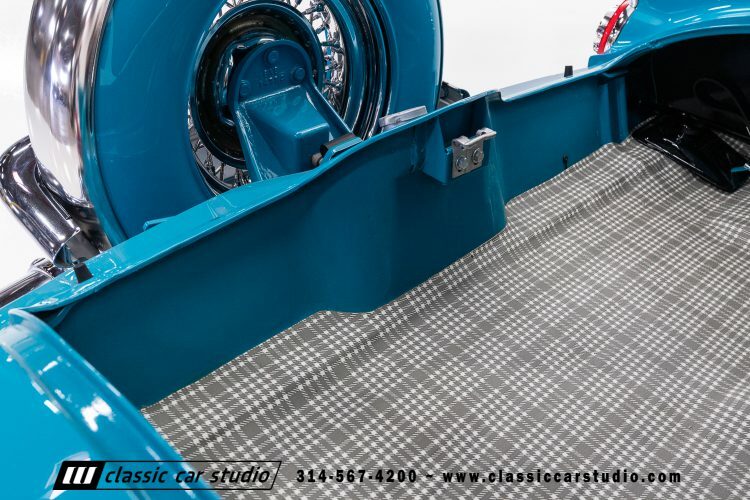 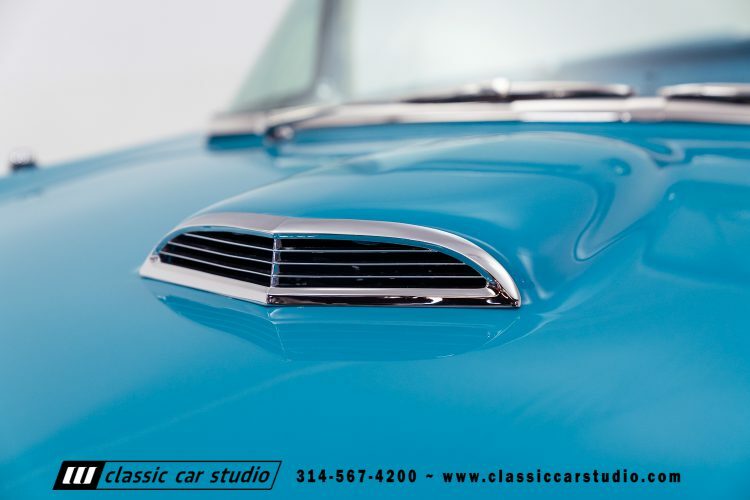 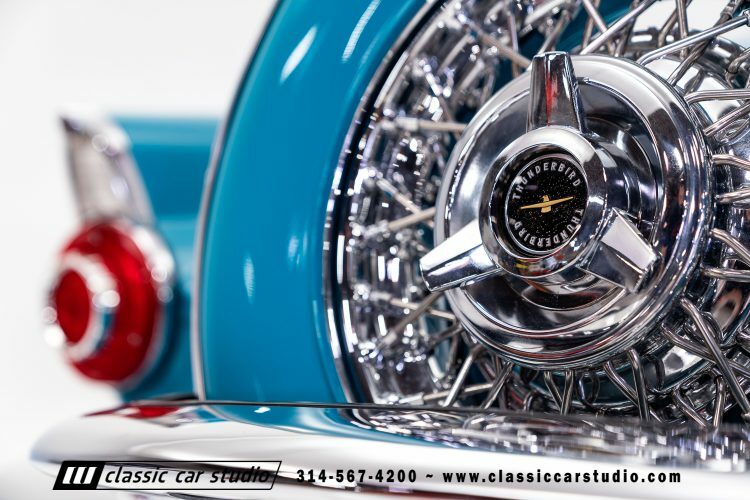 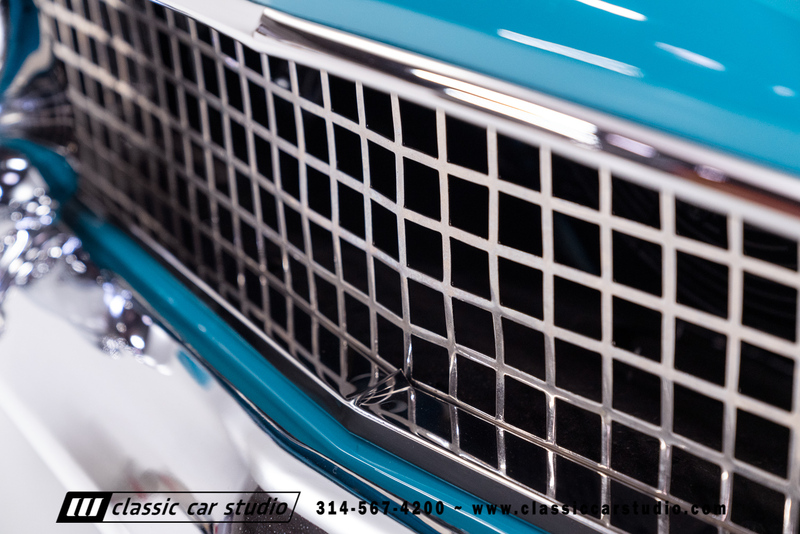 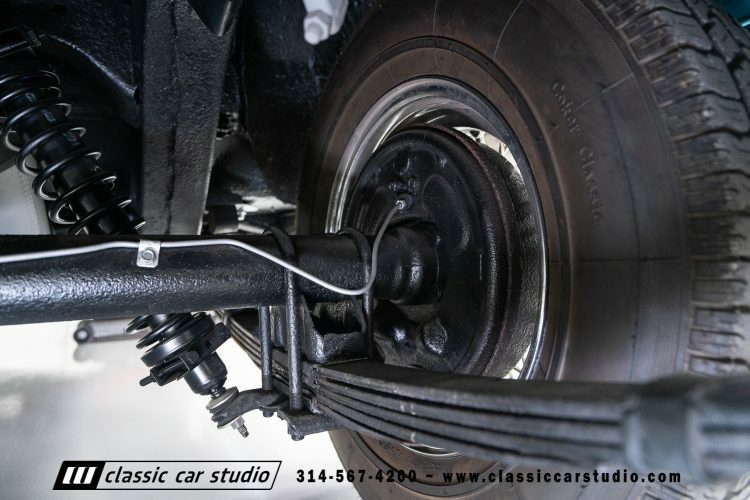 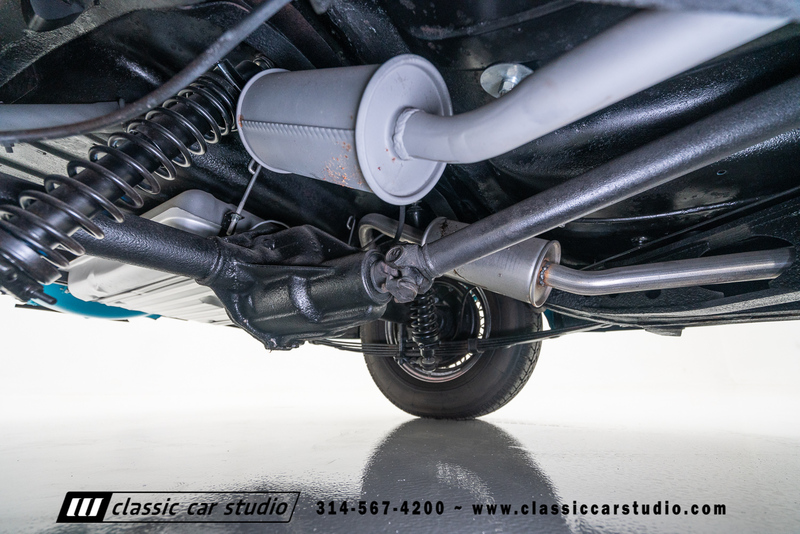 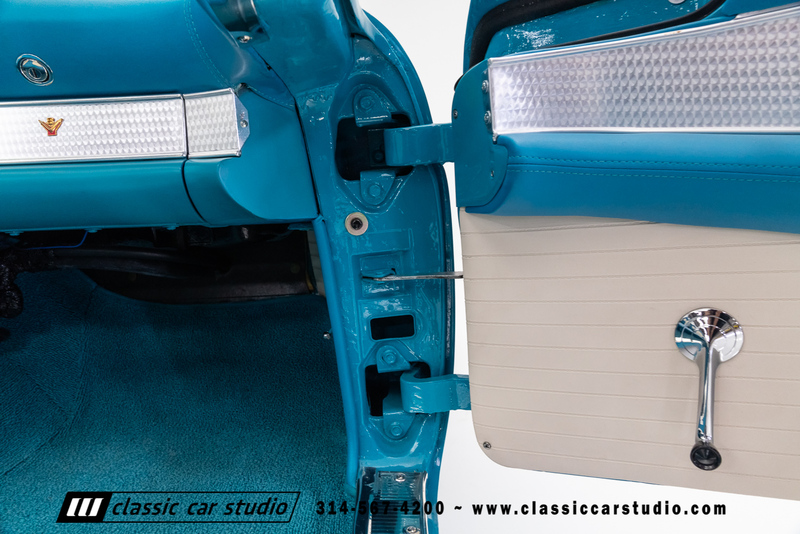 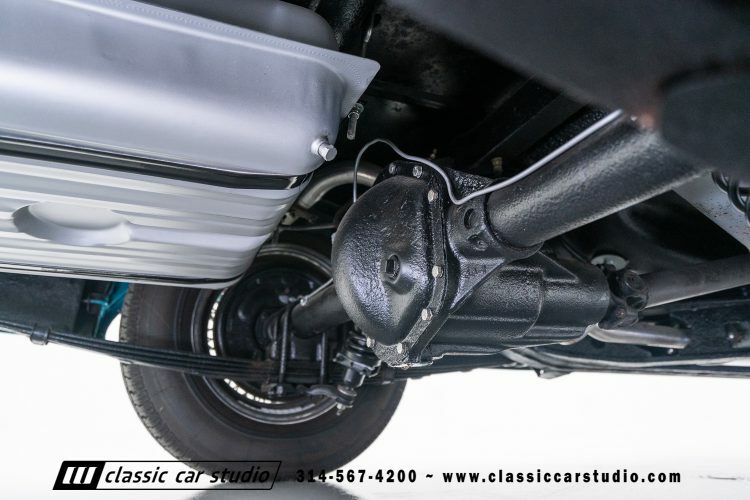 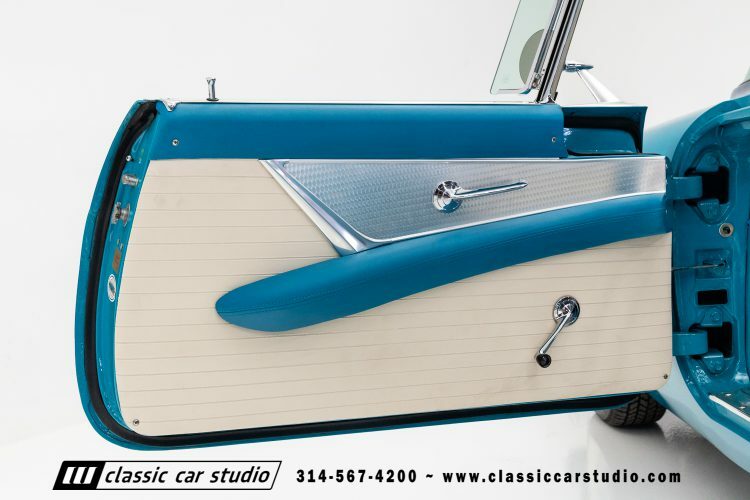 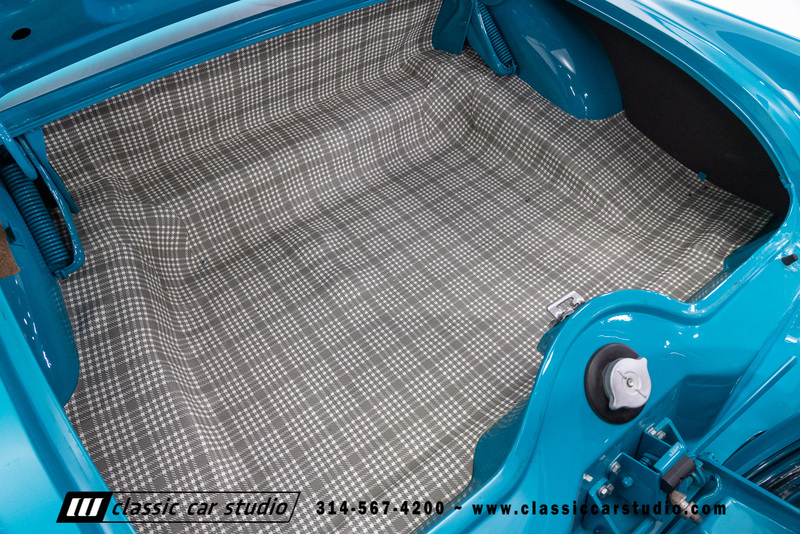 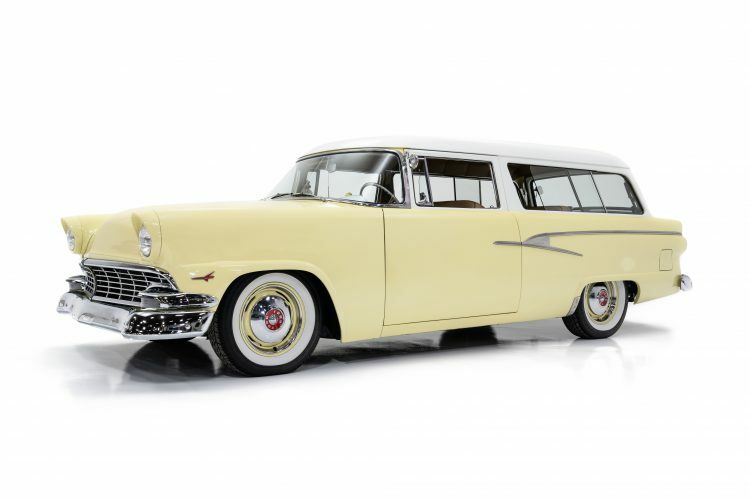 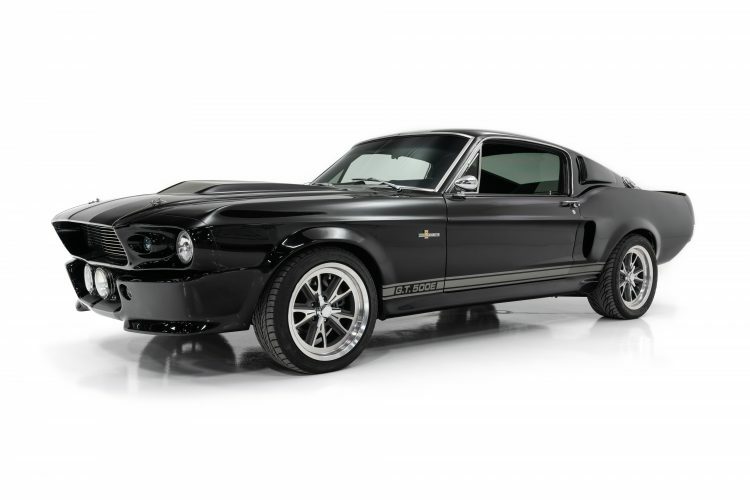 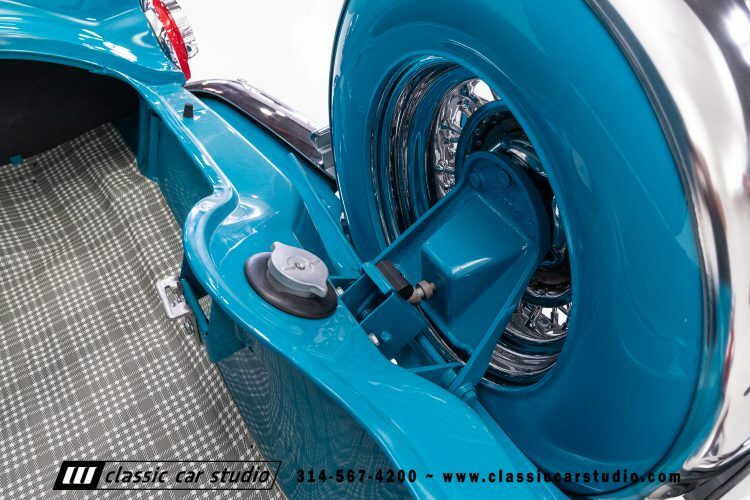 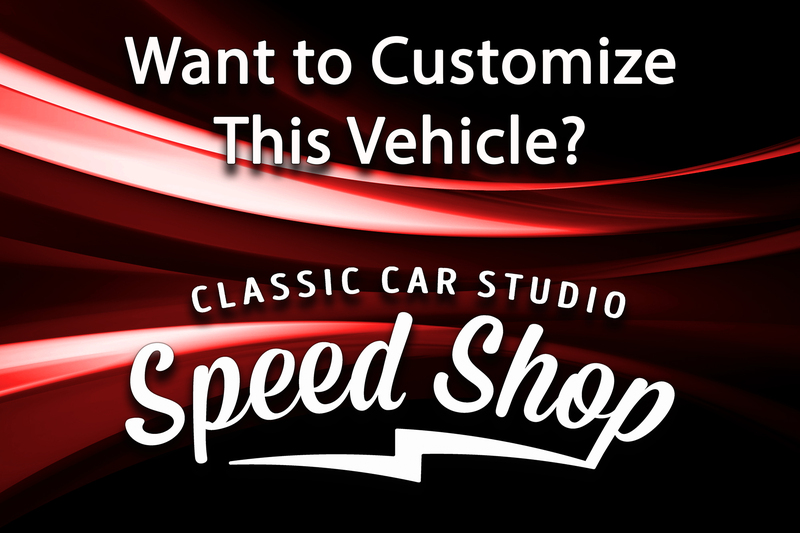 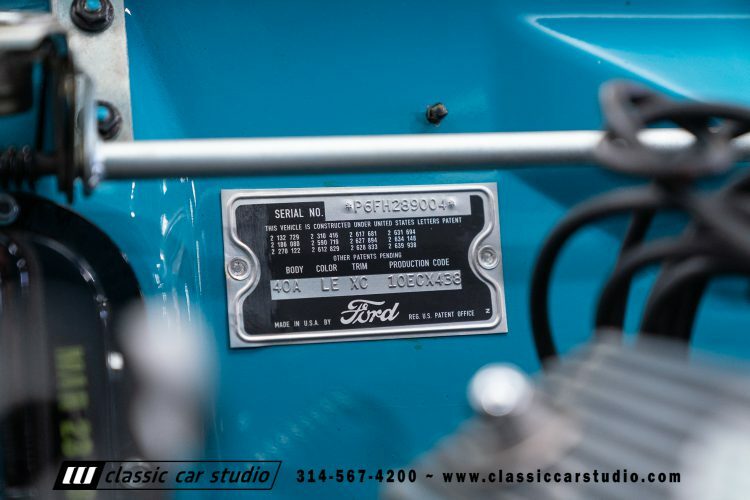 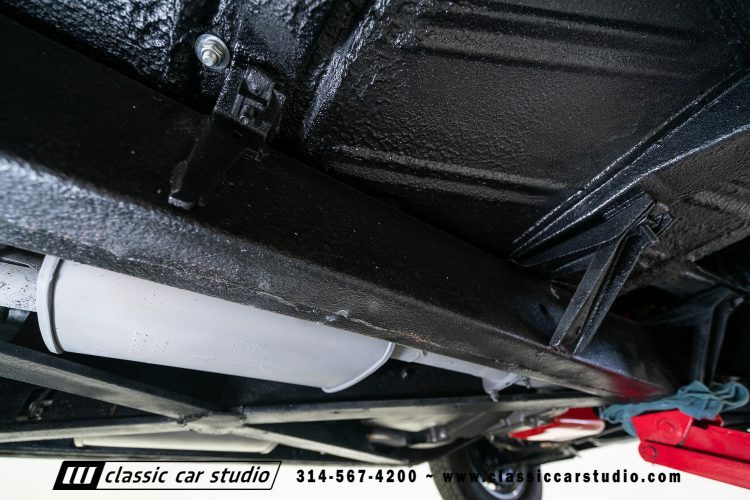 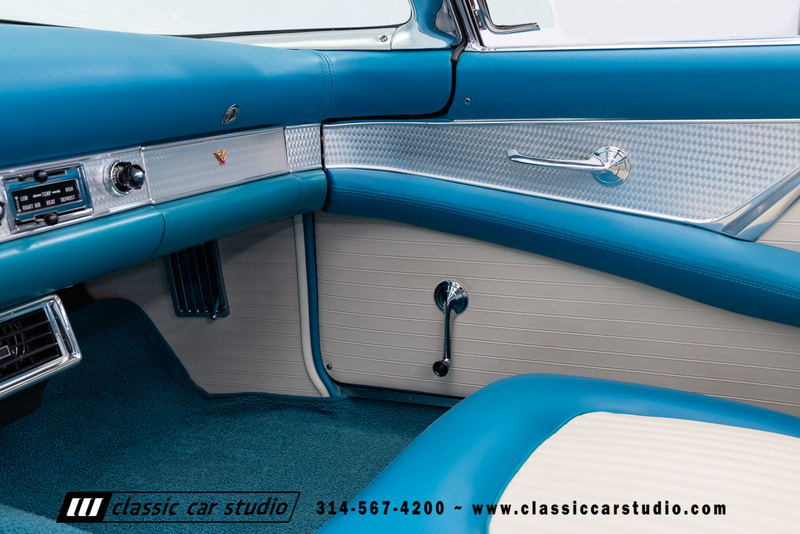 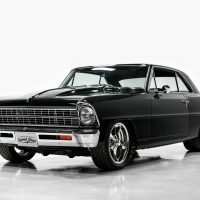 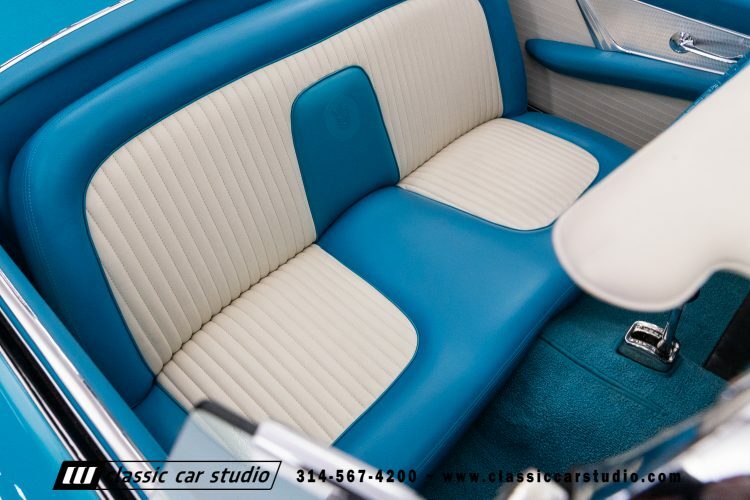 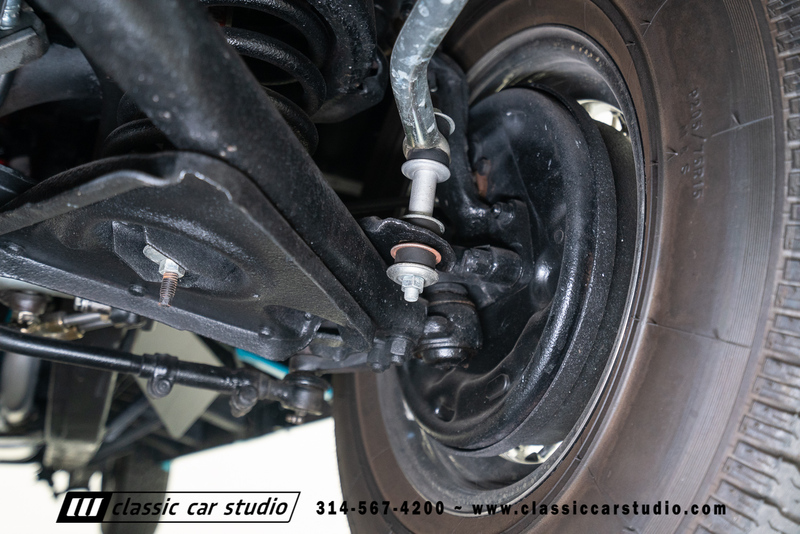 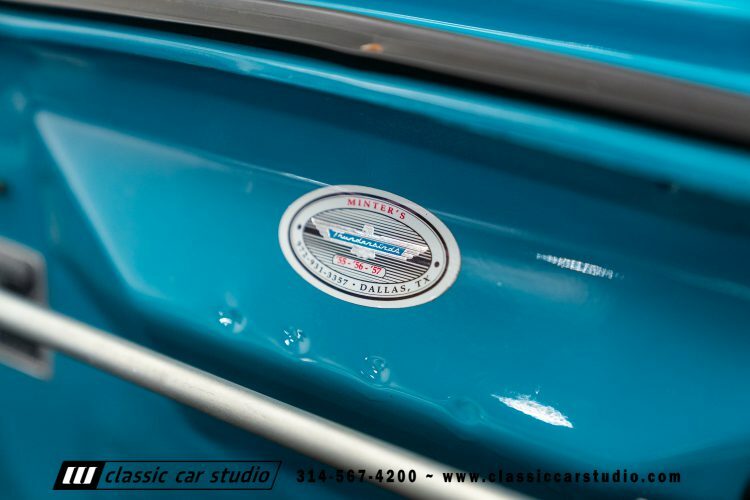 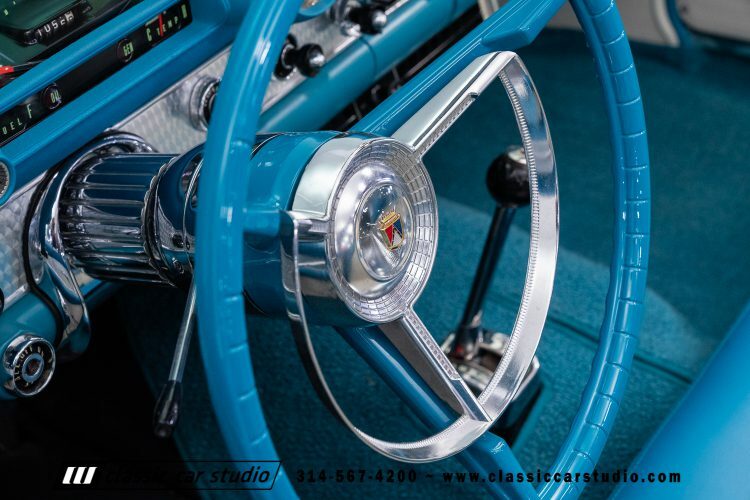 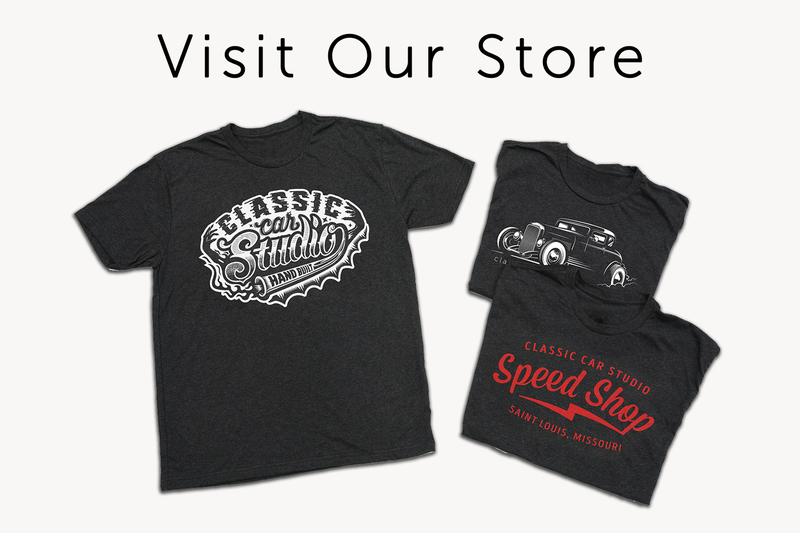 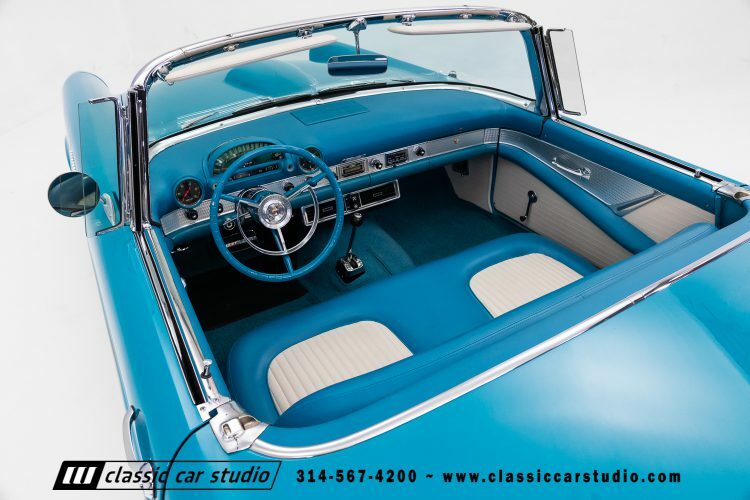 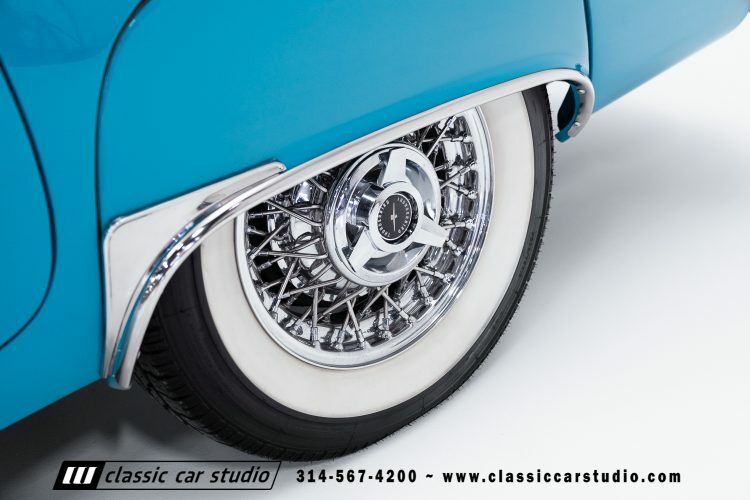 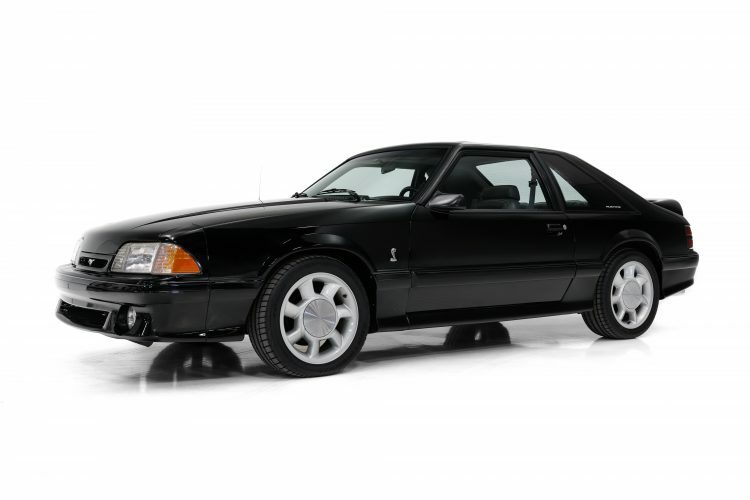 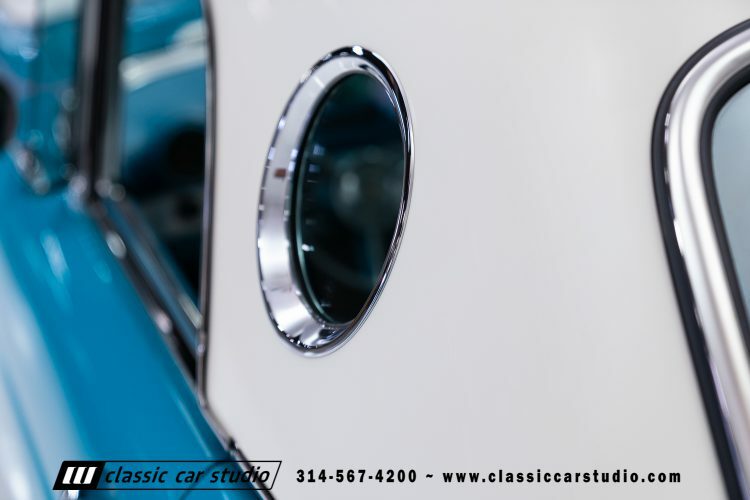 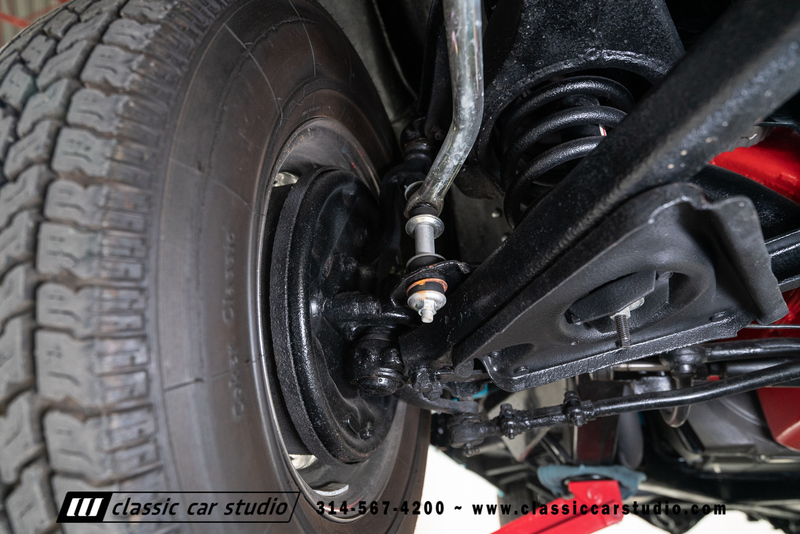 All of the trim and chrome are either high-quality replacements or have been nicely restored. 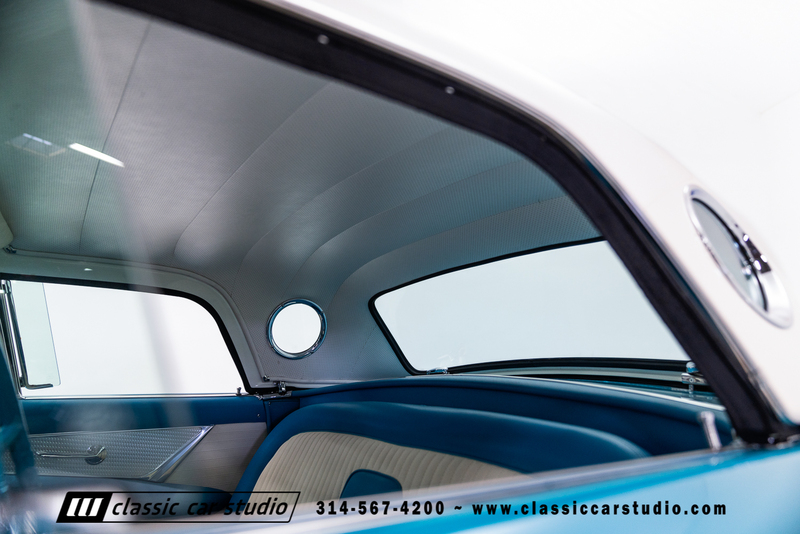 All of the glass has been replaced with new “tinted” glass and all of the rubber is new as well. 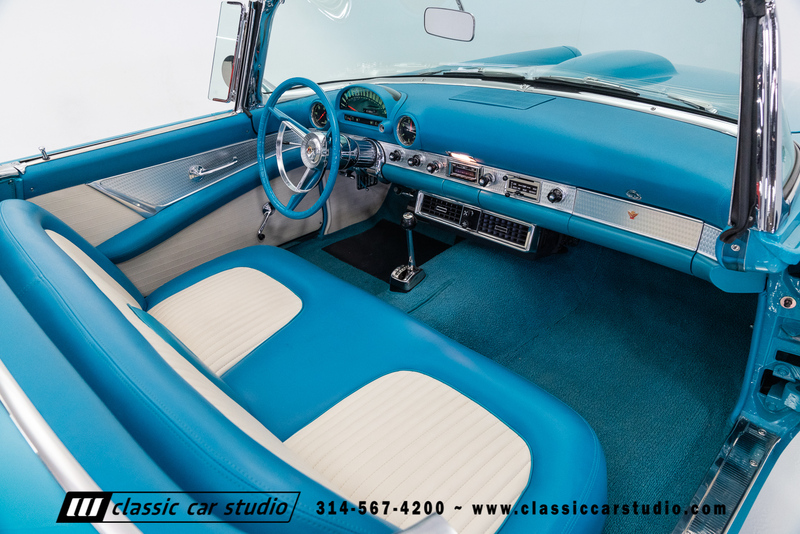 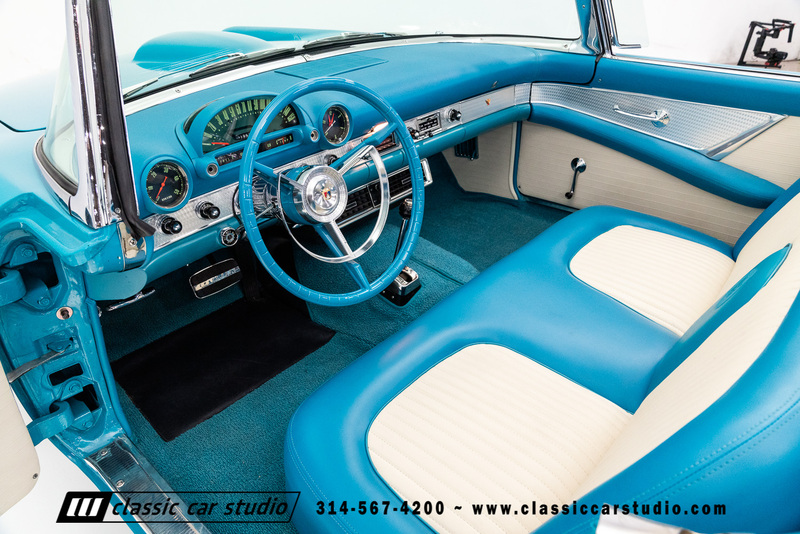 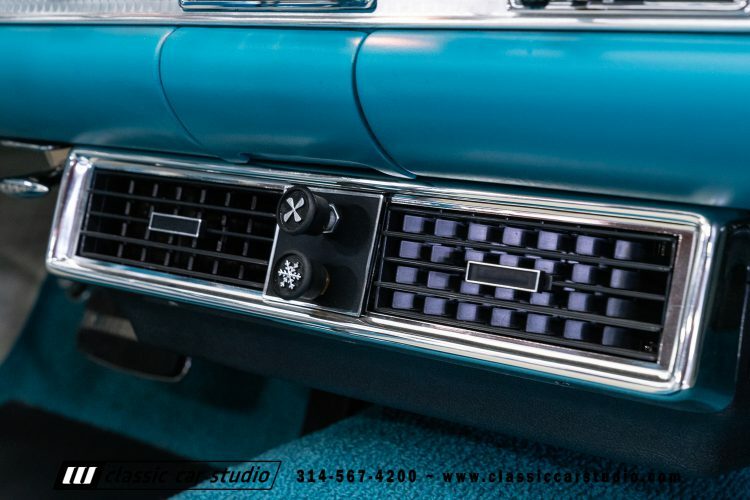 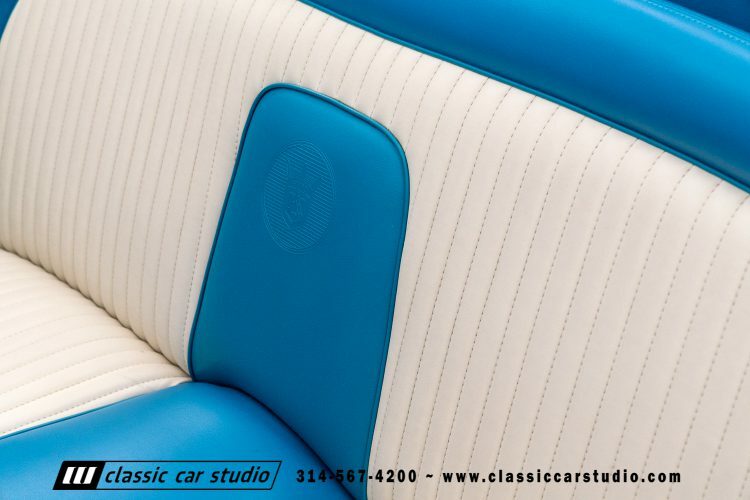 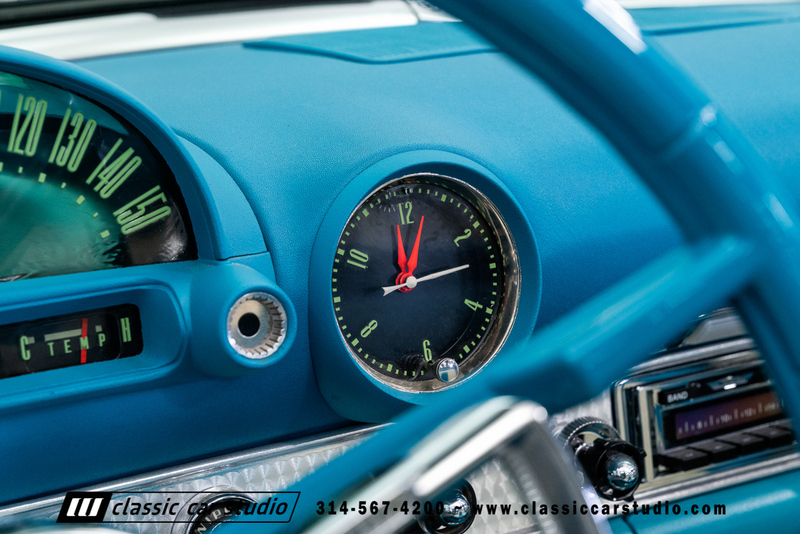 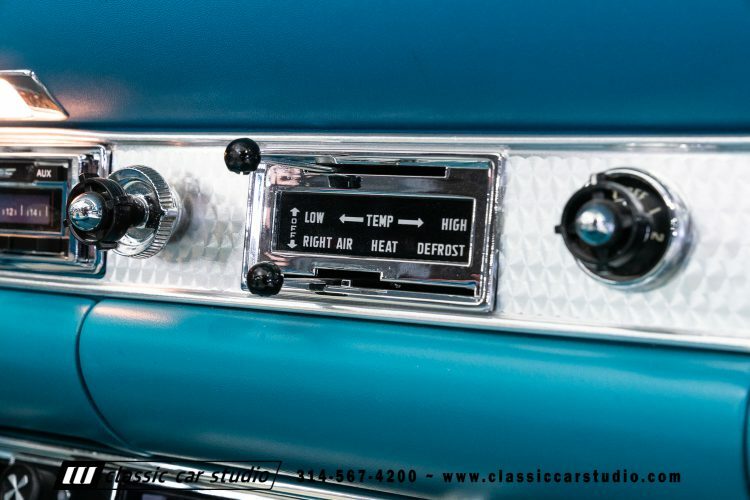 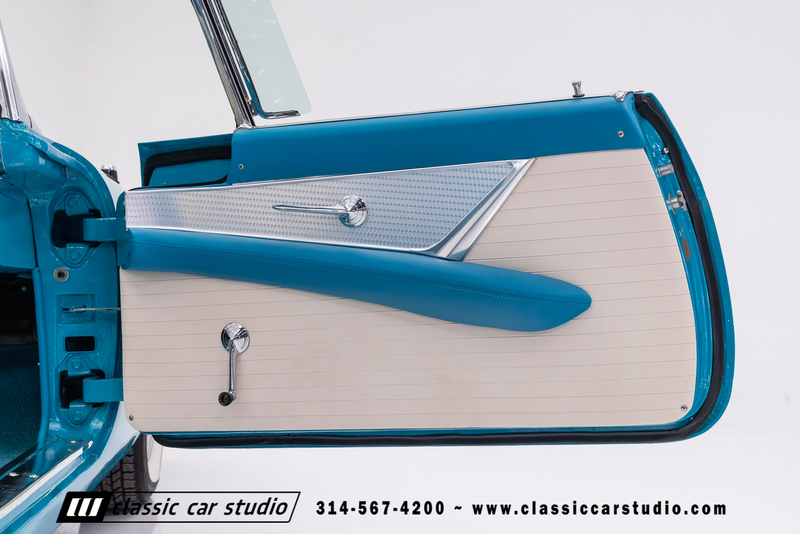 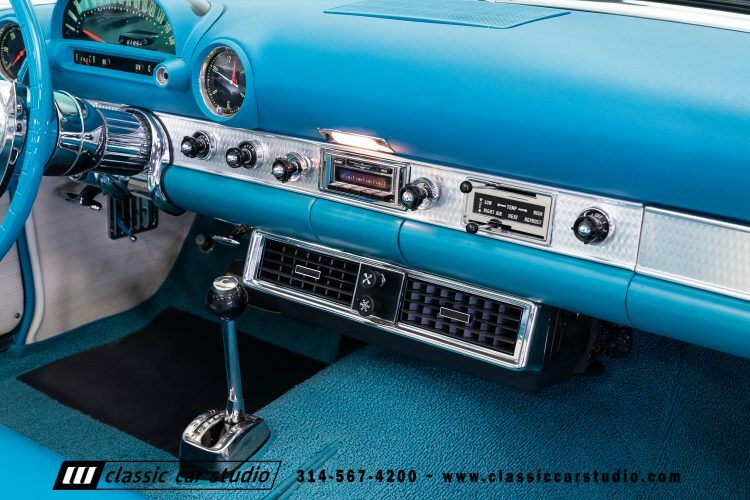 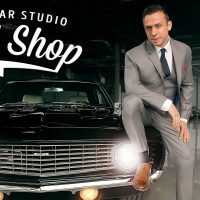 The interior was completely restored and features all new soft parts, restored gauges, a smaller diameter steering wheel and the classic Town & Country Signal Seeking AM/FM radio. 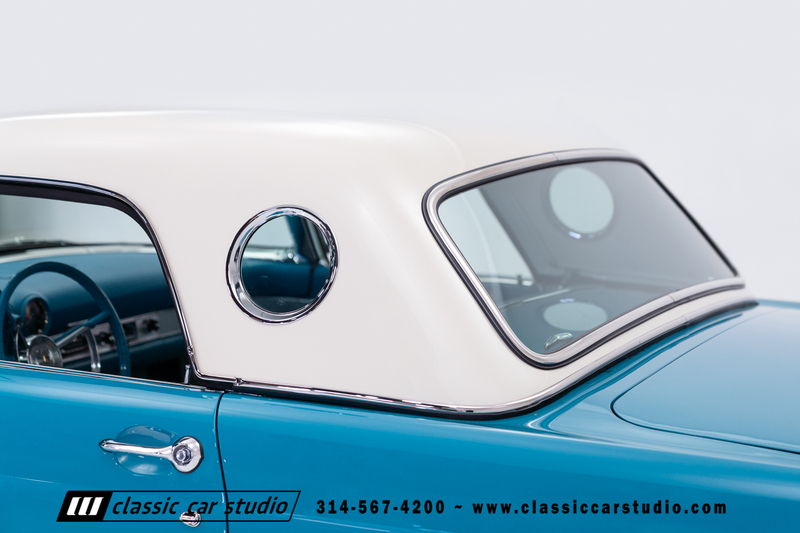 The convertible top is a white Nylon replacement and the top mechanism has been gone through as well. 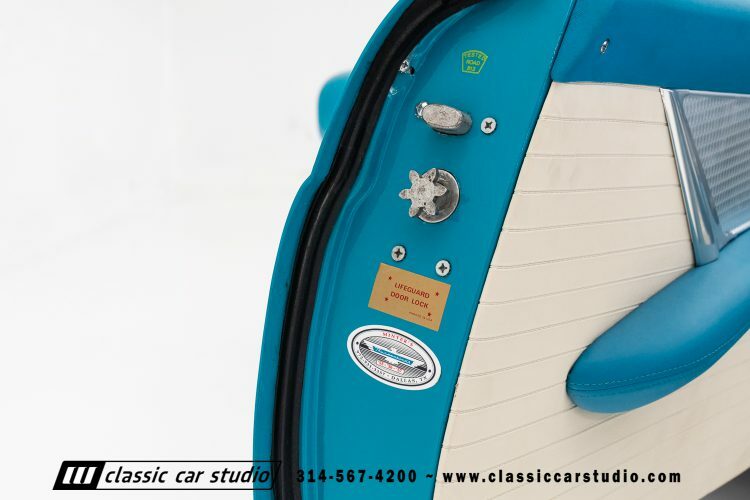 In addition to the smaller wheel, the seat has been repositioned as well to free up a little space in the notoriously tight interior compartment. Keeping things cool for the passengers is a modern AC set up!